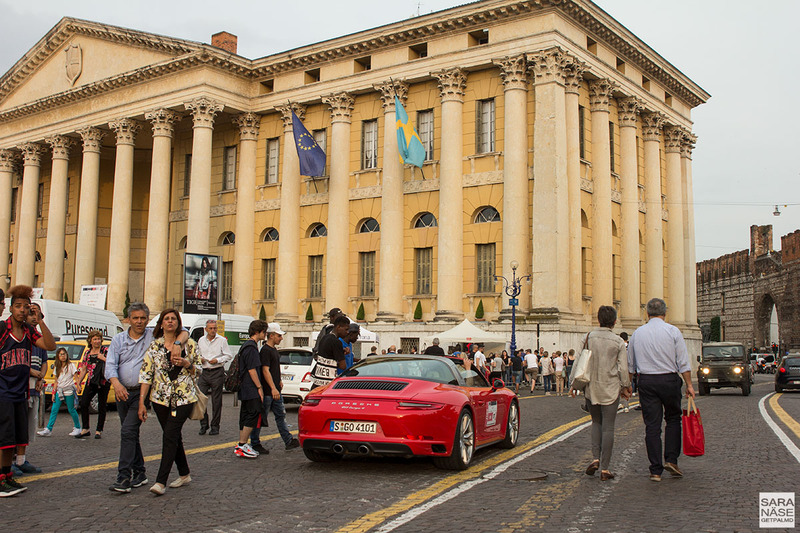 With only minutes to spare before the press office was due to close, on the day before the start of the Mille Miglia 2017 classic car race through Italy, we curved in with a Porsche 911 Targa 4 to the Mille Miglia Paddock in Fiera di Brescia. 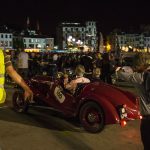 I saw the finish line, a media tent in the corner of a parking area, with a team equipped with spray bottles and wipes ready to smash the media stickers on the car when we arrived. 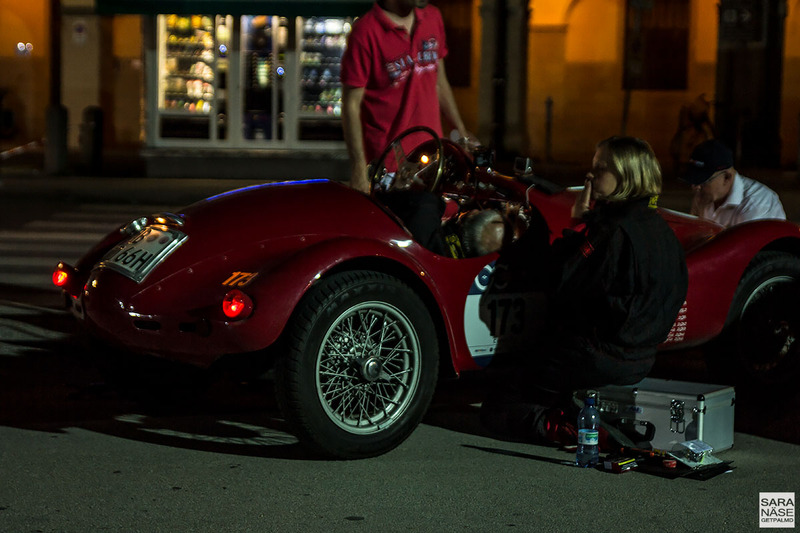 It was all really exciting. 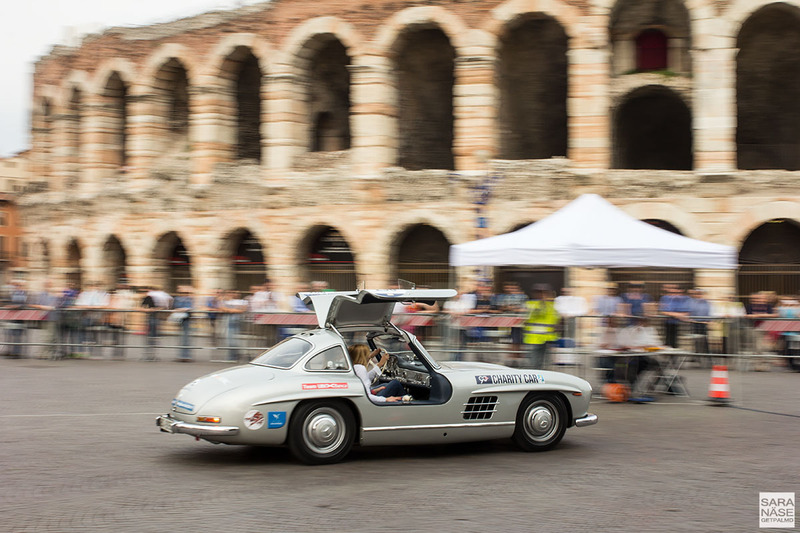 And I thought I had everything organized and all the paperwork we needed in a plastic folder, but of course there was something crucial missing. 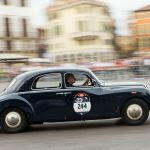 We had missed the details in our accreditation email that we were supposed to pick up our press badges and officially register the vehicle before a trip to the paddock. 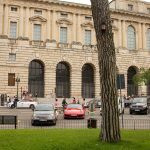 Of course that other press room was in Brescia city and not in Fiera, so they asked us to return the next morning with our badges. 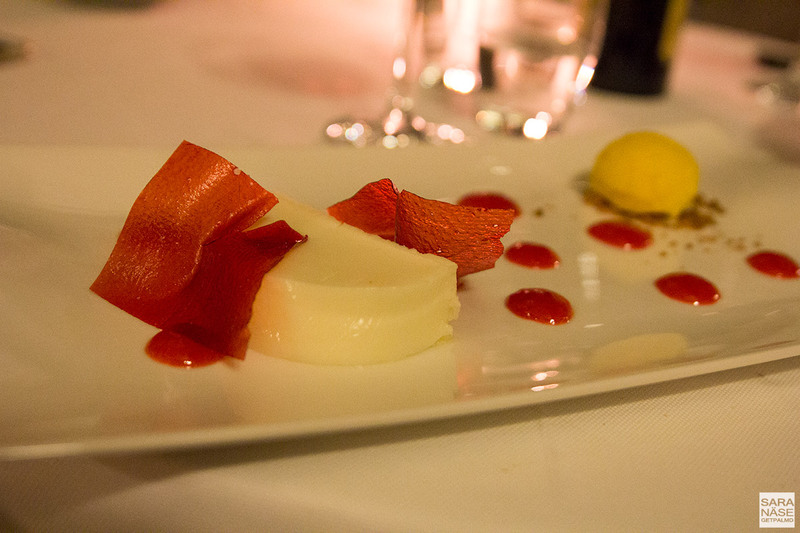 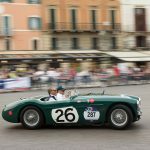 What is the best way to deal with disappointment and frustration? 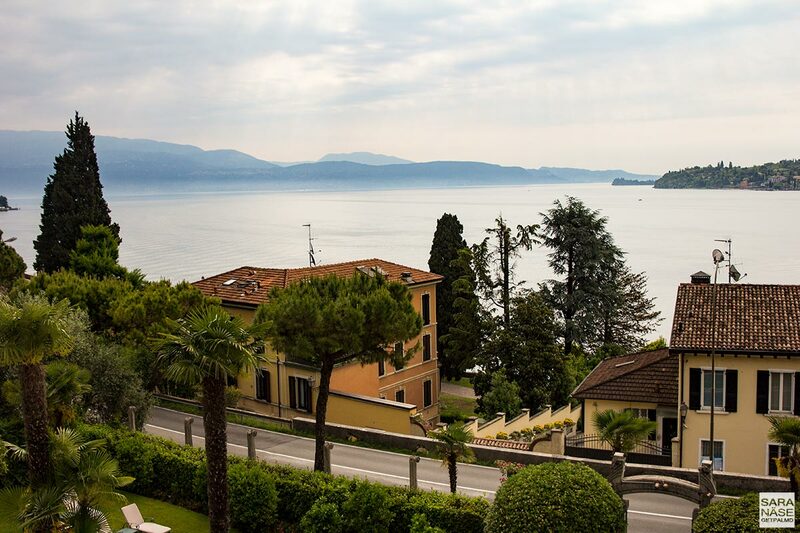 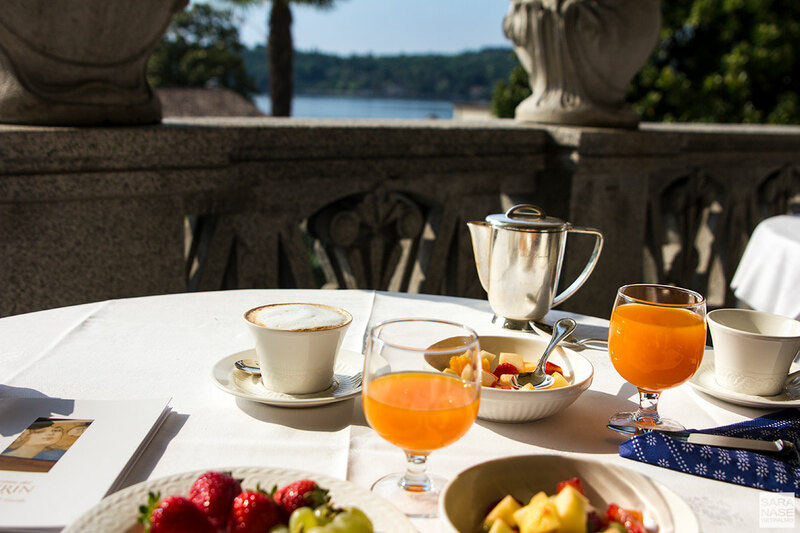 I suppose it is to check in to a nice hotel on Lake Garda, enjoy a romantic dinner on the terrace, and fall asleep in a suite with lake view. 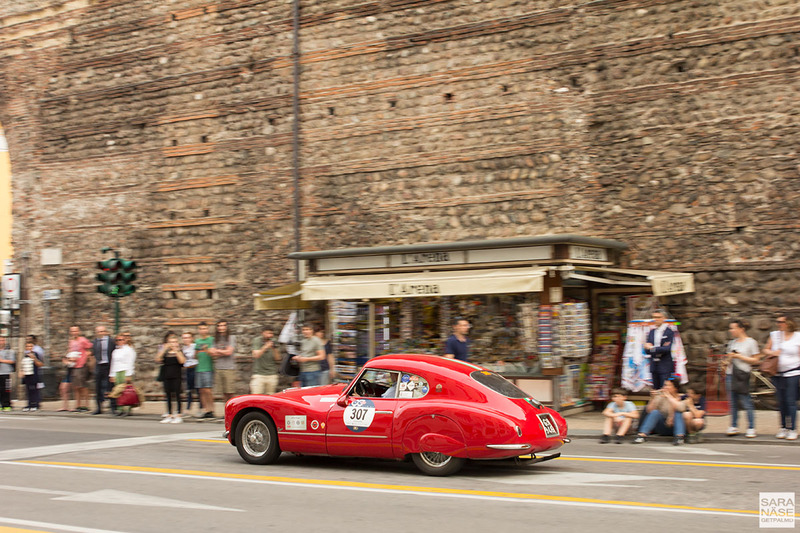 If I would have known that the next morning I would be running around Brescia on a hot spring day, stressed about making it in time for the start of the race, I would perhaps have tried to sleep a few more hours. 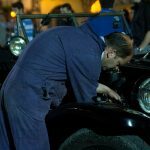 But even the things that almost make you cry on the day are things I can now look back at and laugh. 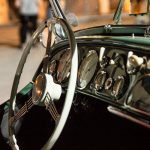 Things rarely go exactly as planned and after years of road tripping I should damn well know it. 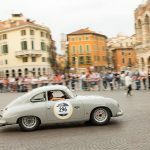 The next morning – sweaty, pleased, tired and excited – we finally watched the Porsche getting prepped for the race with media stickers on the doors and the bonnet, a reward that came after an exhausting race against time through Brescia old town on a mission to find the press office before it closed. 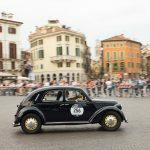 All the credit goes to my other half, Dan, who made me run faster when I came close to giving up. 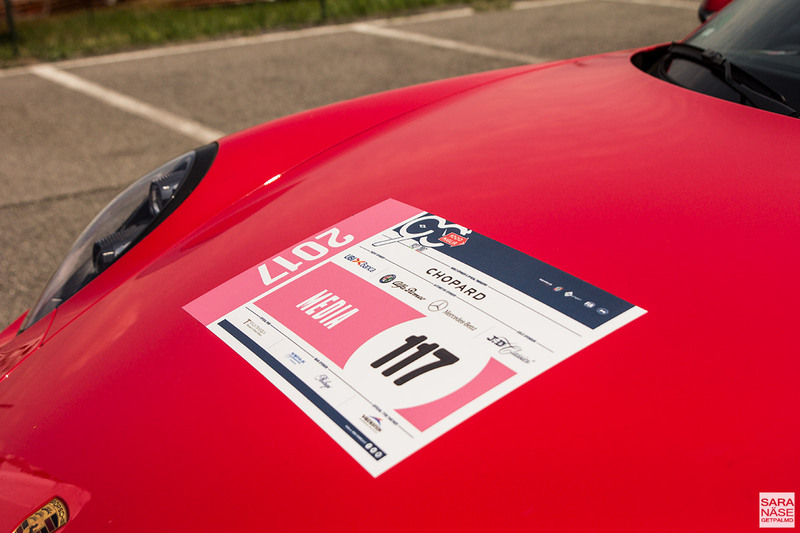 117 was our lucky number and it is a special feeling to see your car with Mille Miglia 2017 stickers. 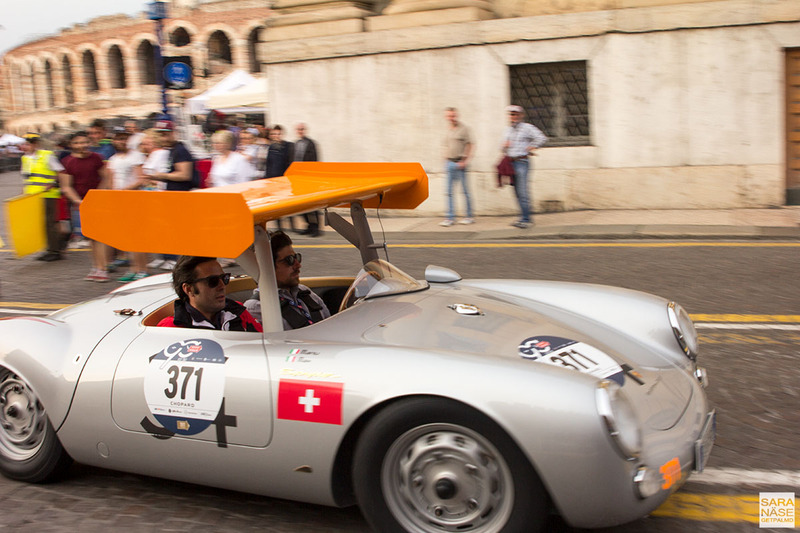 Even if it is a modern car, and even if they are media stickers and not driver stickers, it is pretty well a ticket to race. 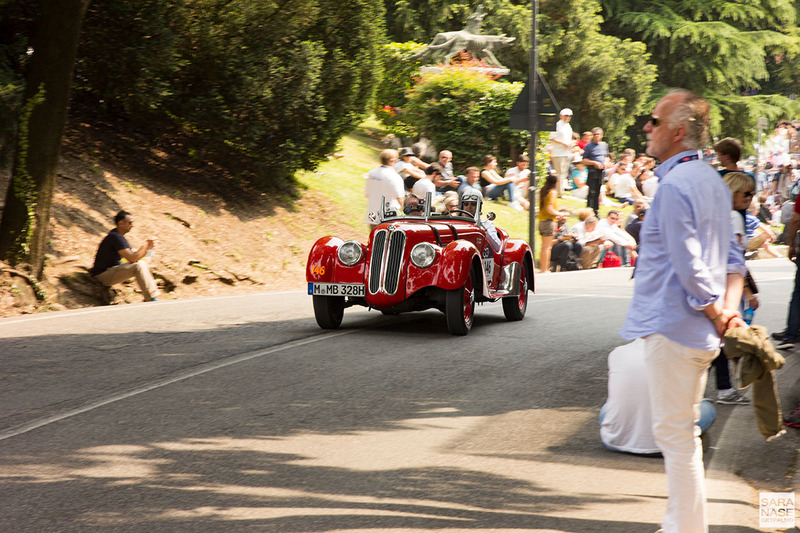 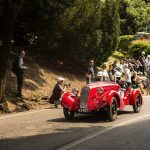 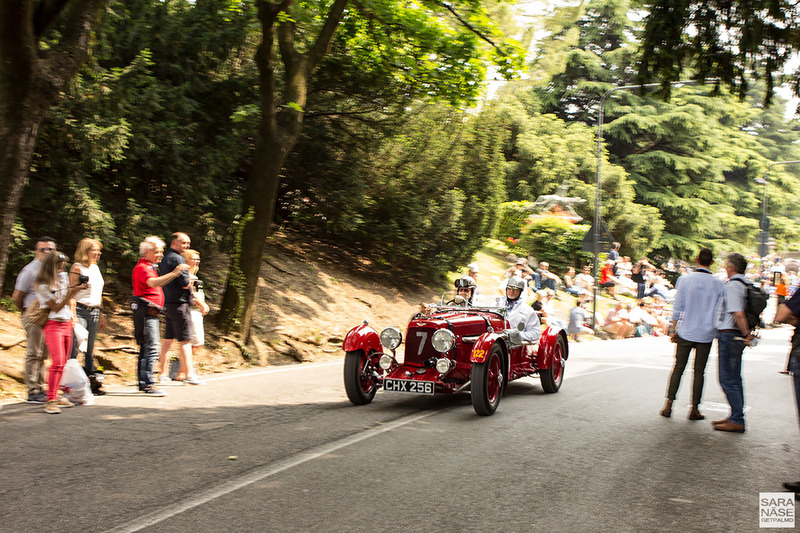 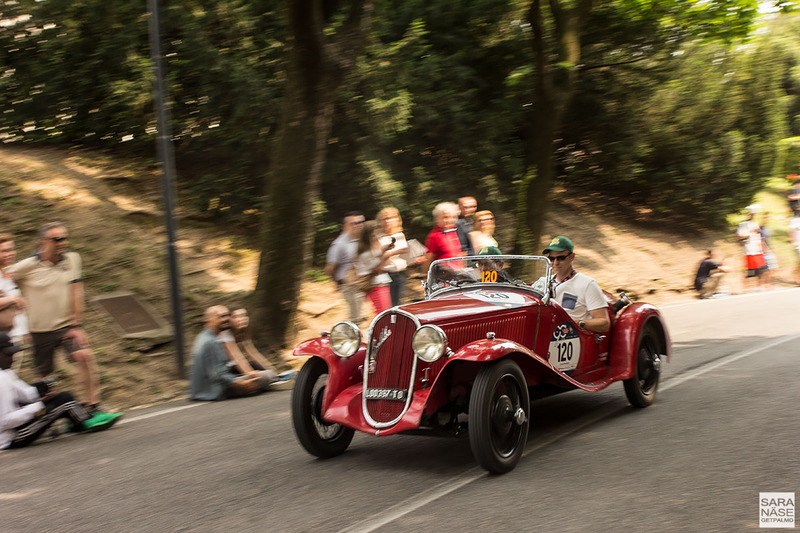 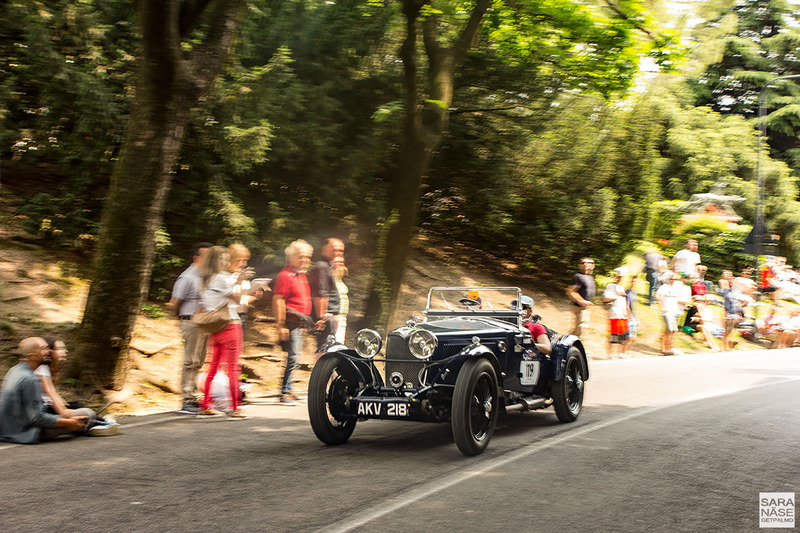 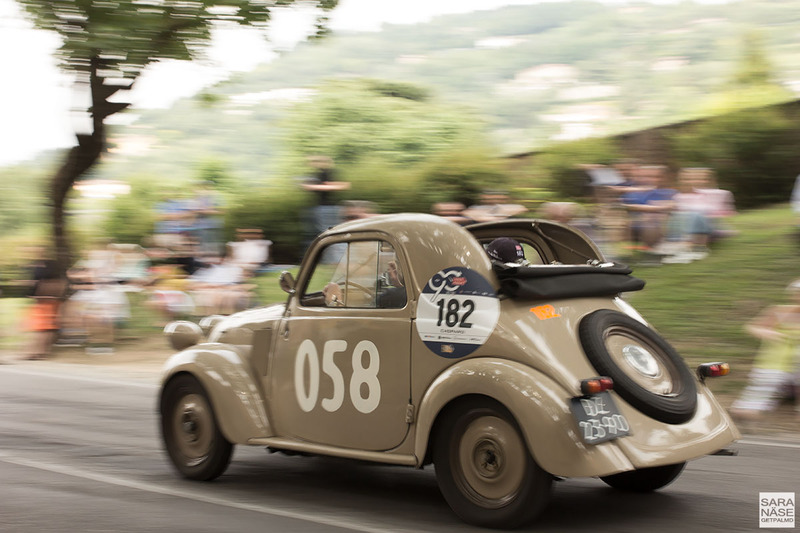 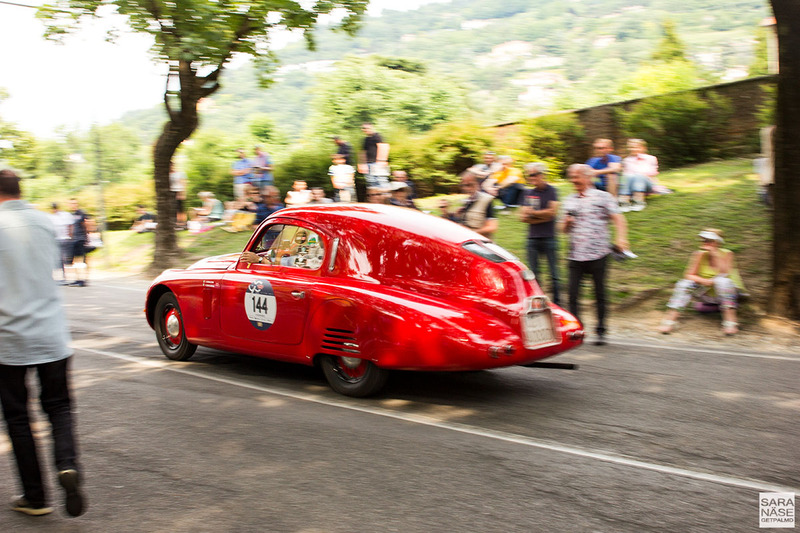 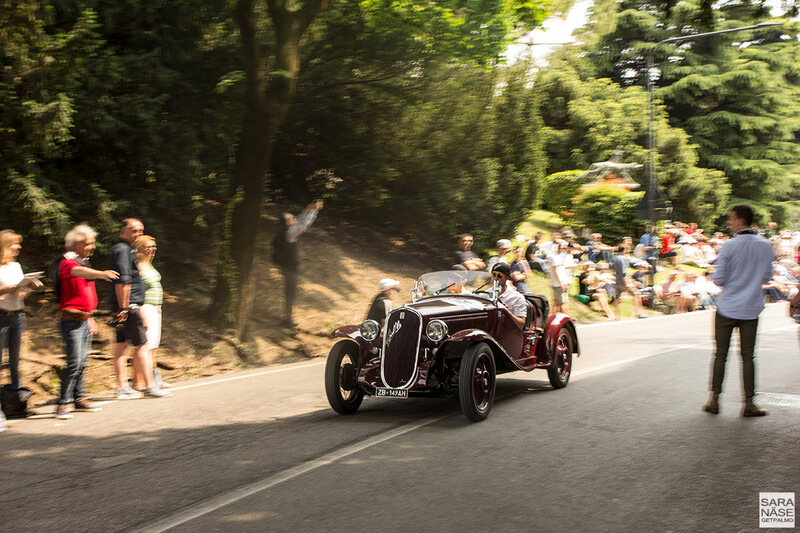 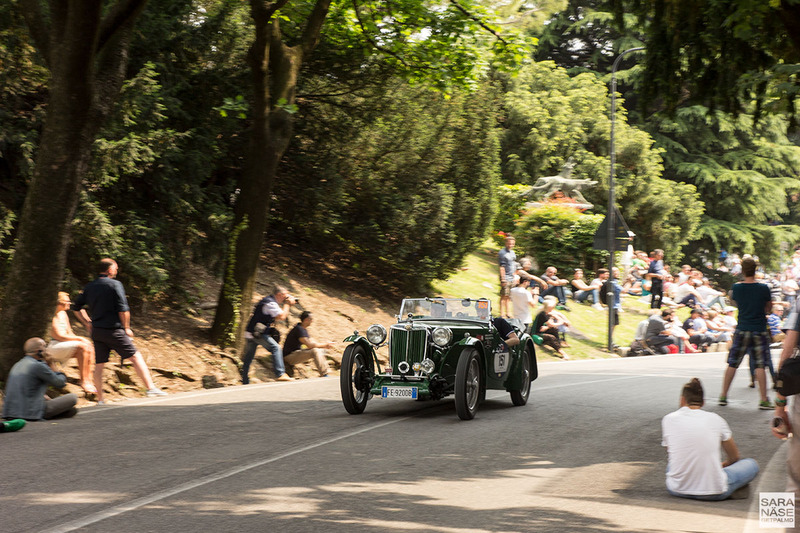 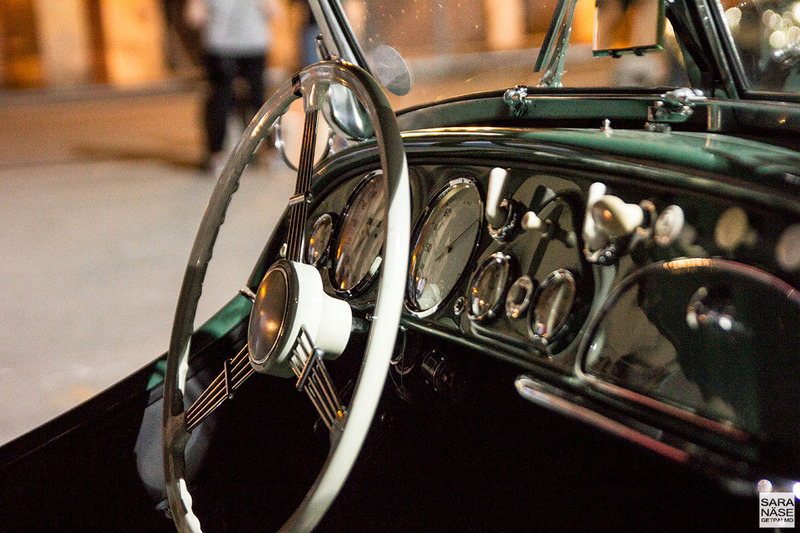 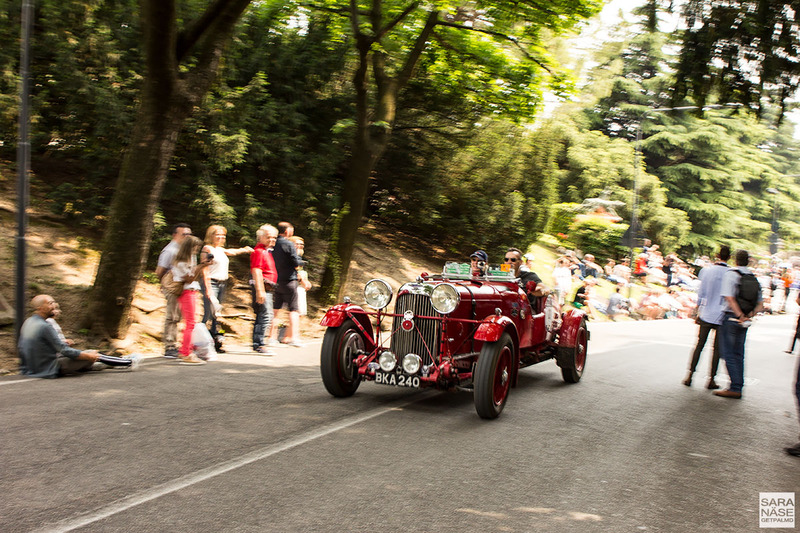 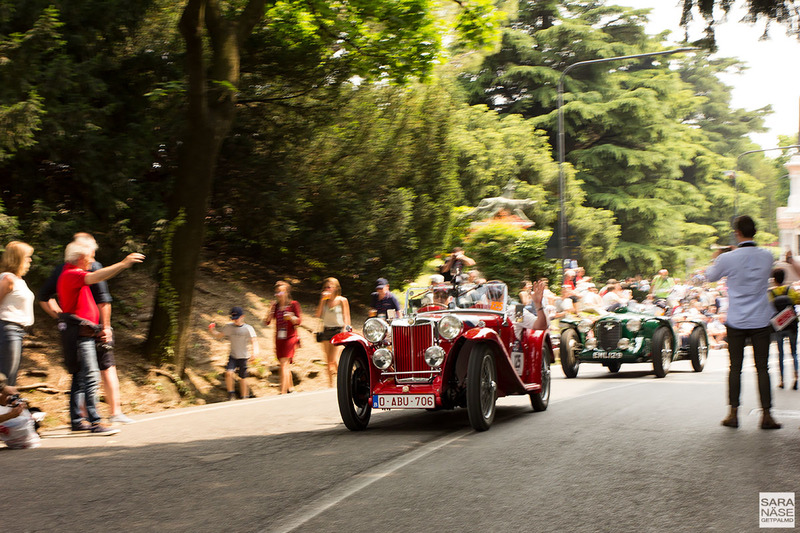 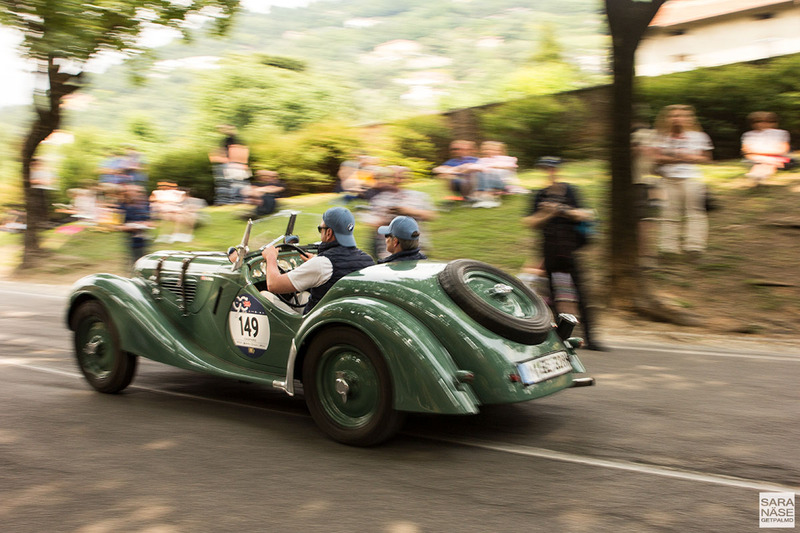 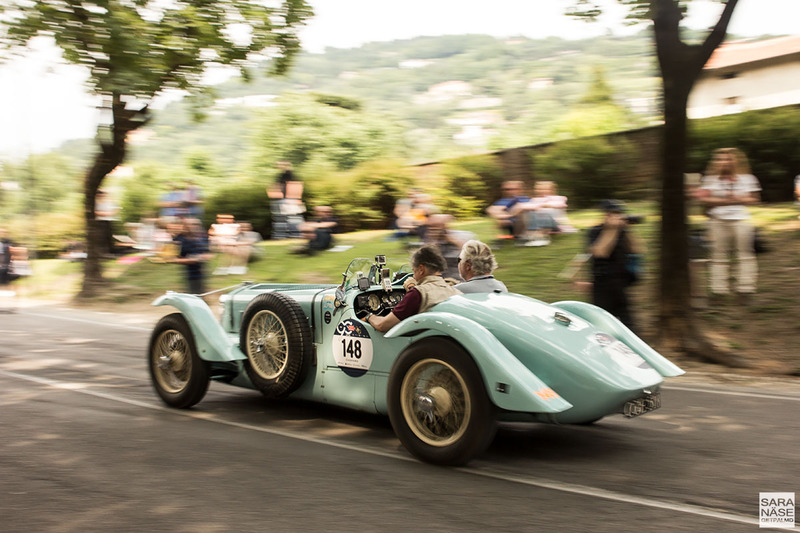 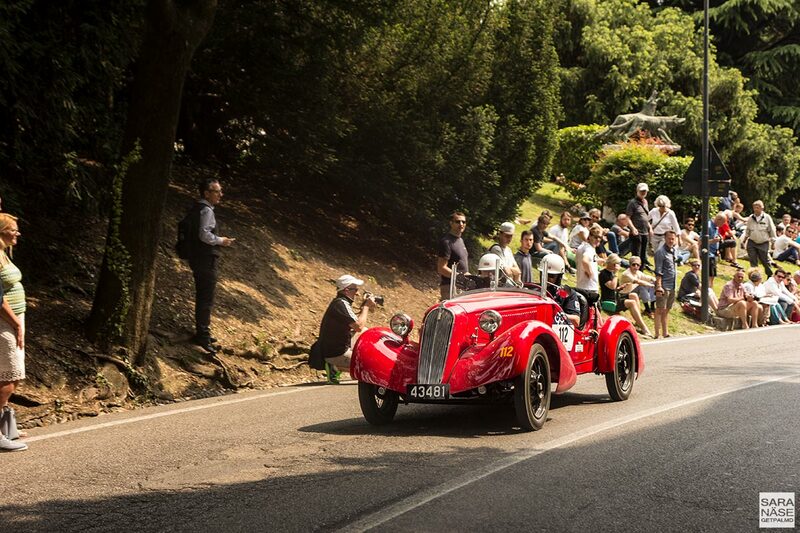 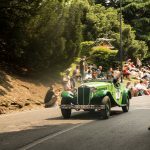 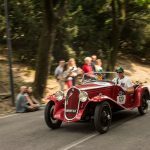 As two Mille Miglia first-timers we were entering new territory, sharing the roads in Italy not only with hundreds of classic cars zigzagging through the traffic, but also thousands of locals getting on with their everyday life. 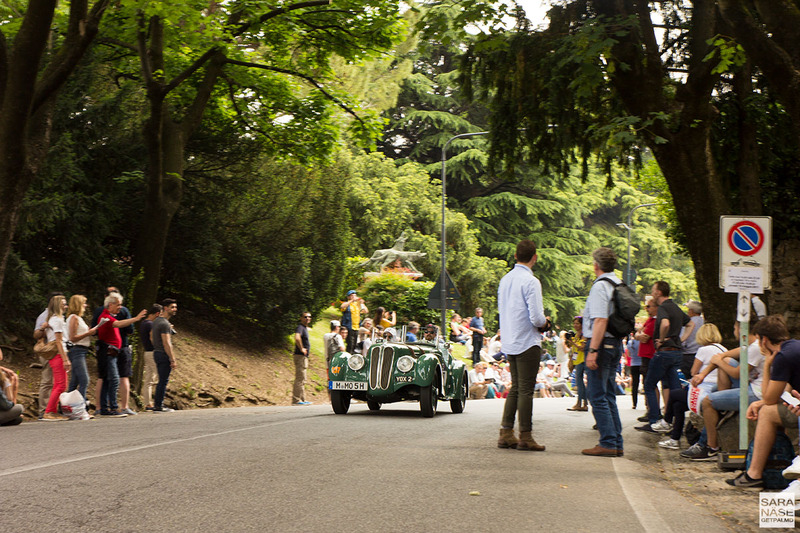 I have never experienced such atmosphere on the road. 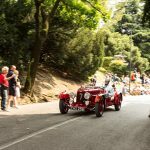 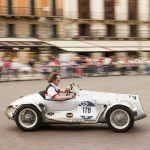 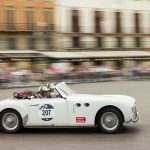 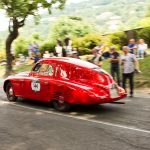 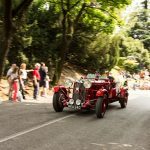 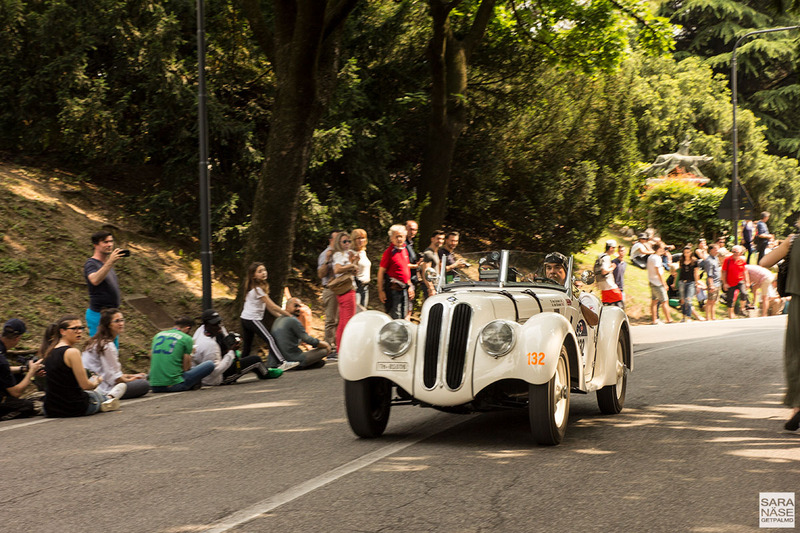 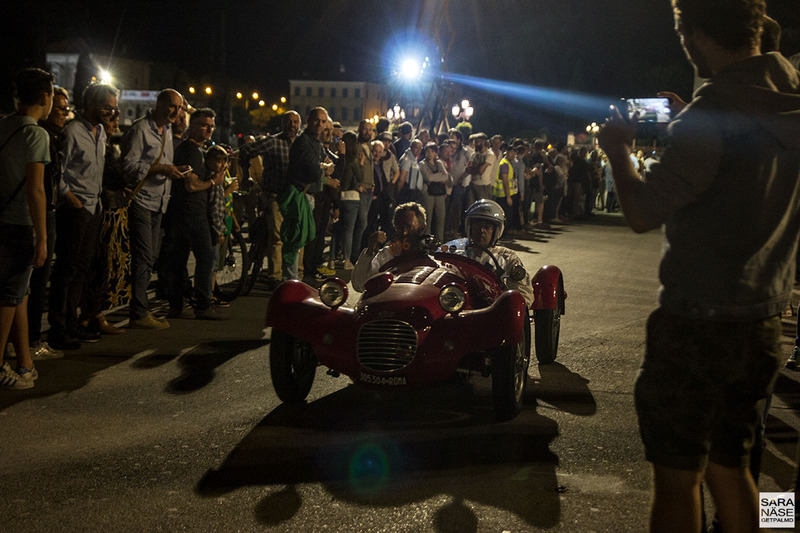 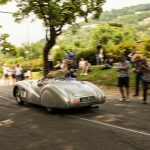 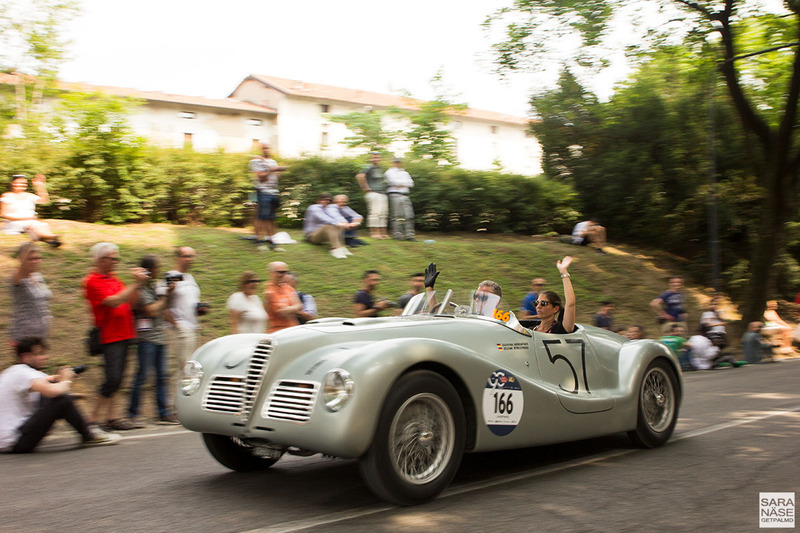 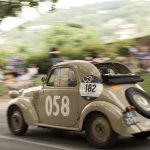 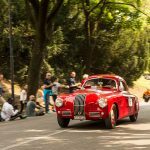 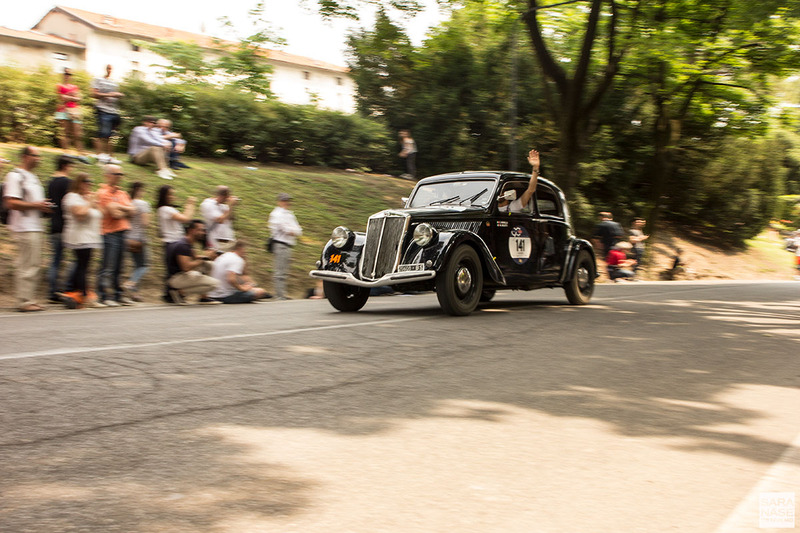 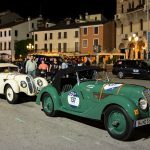 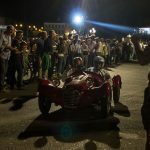 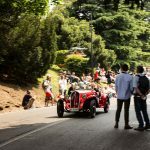 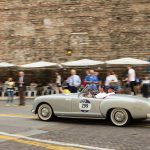 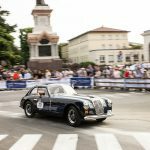 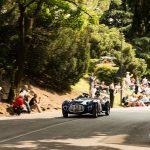 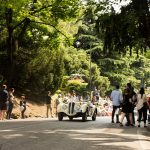 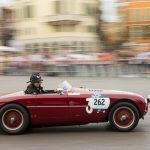 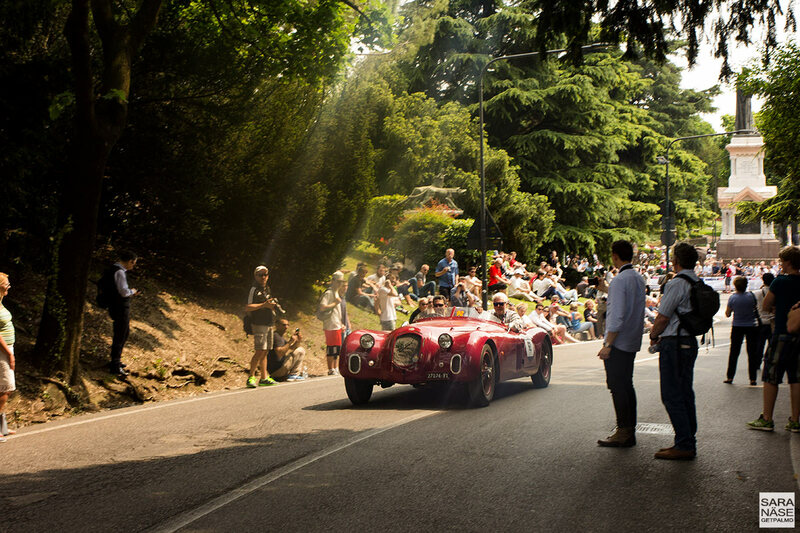 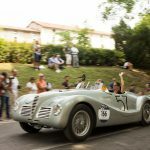 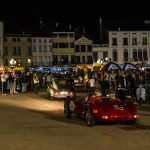 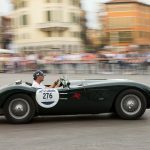 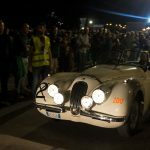 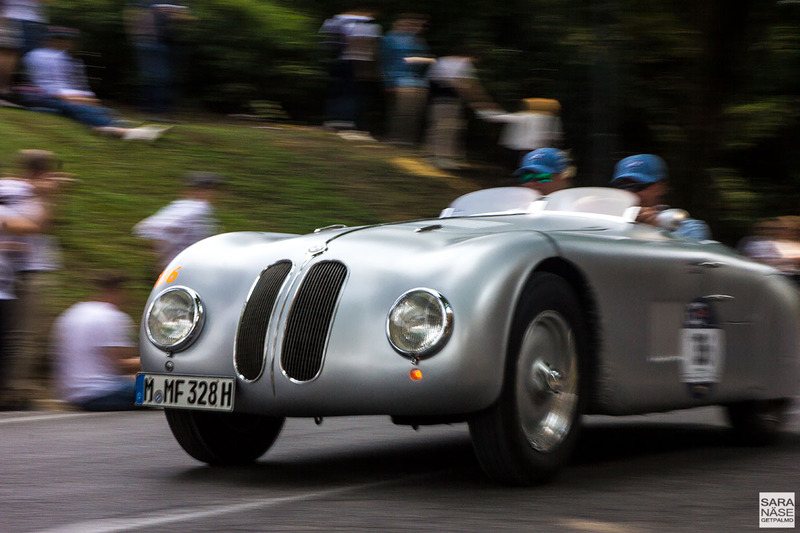 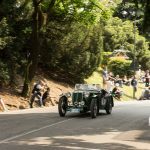 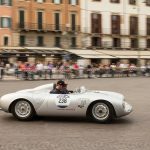 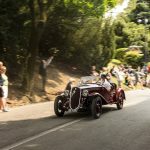 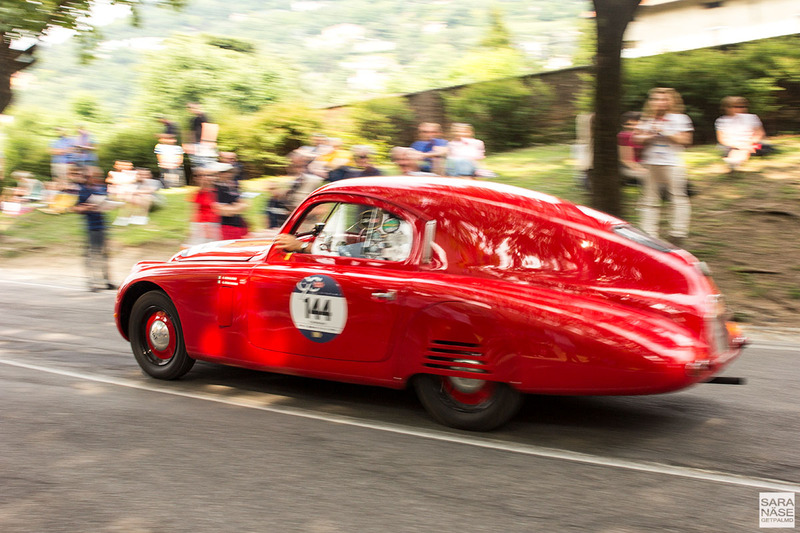 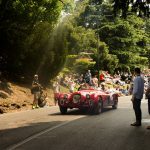 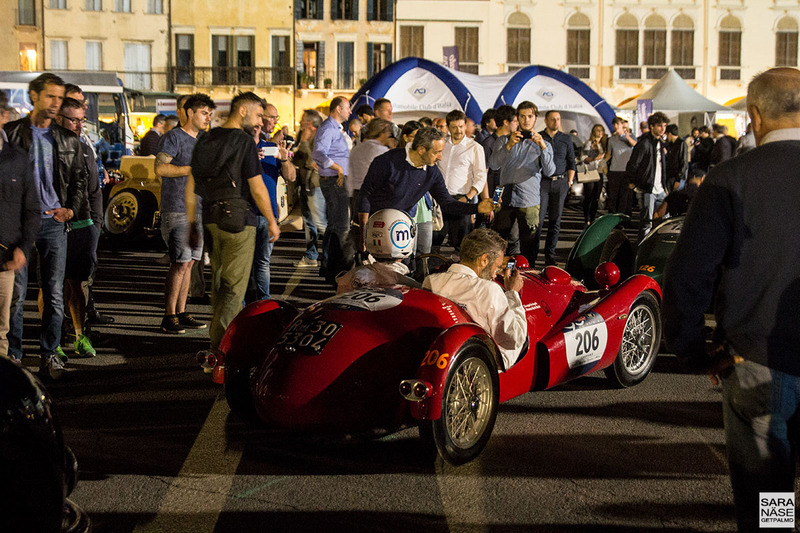 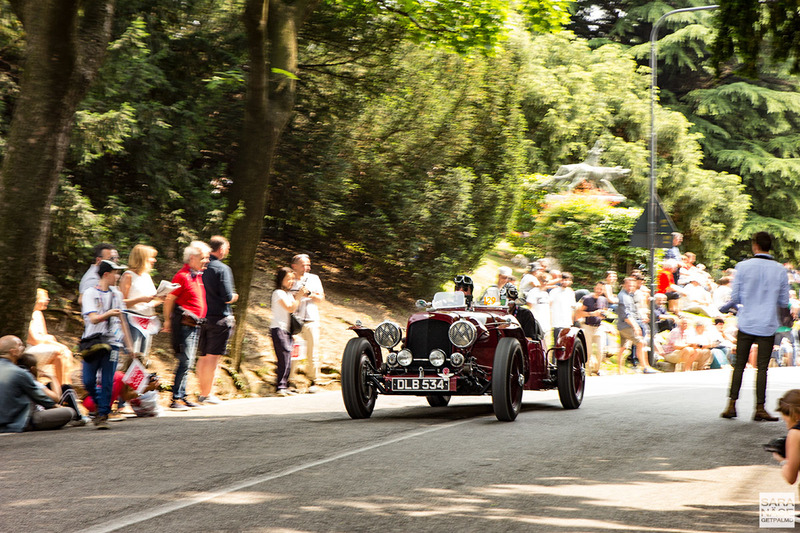 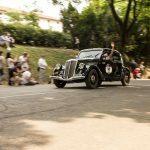 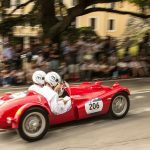 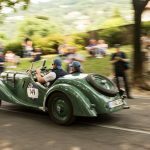 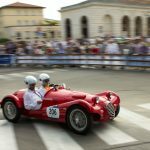 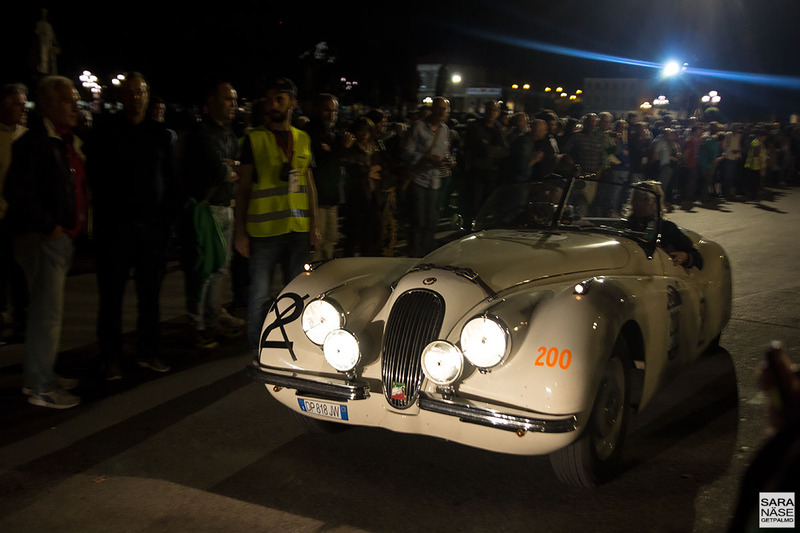 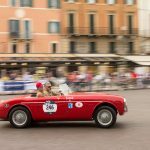 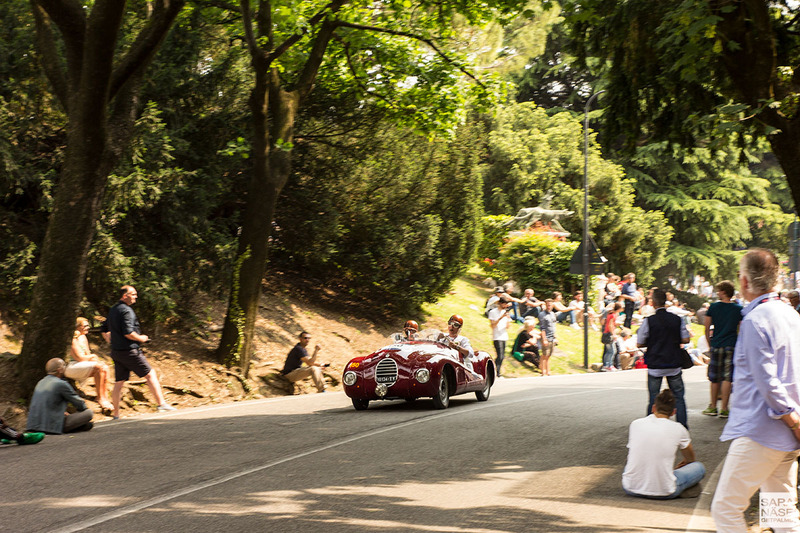 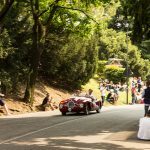 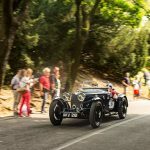 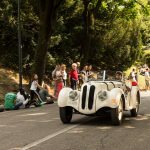 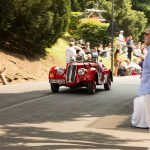 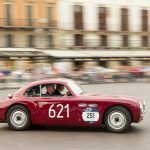 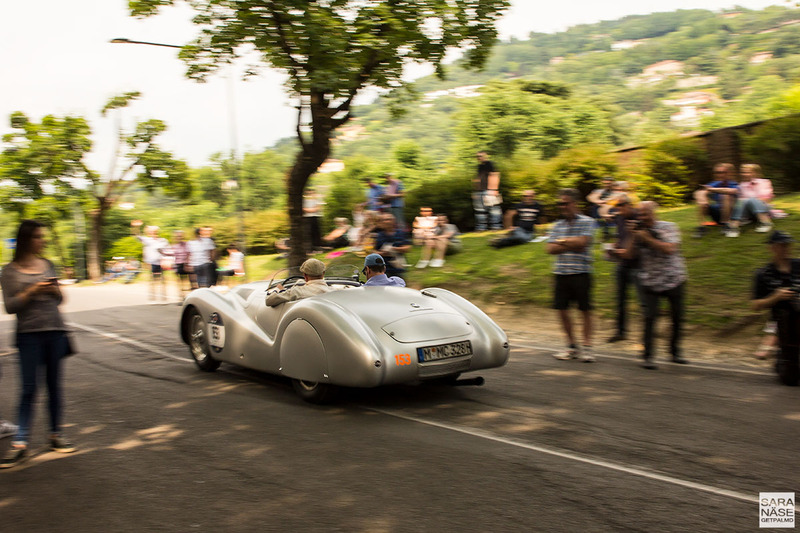 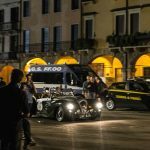 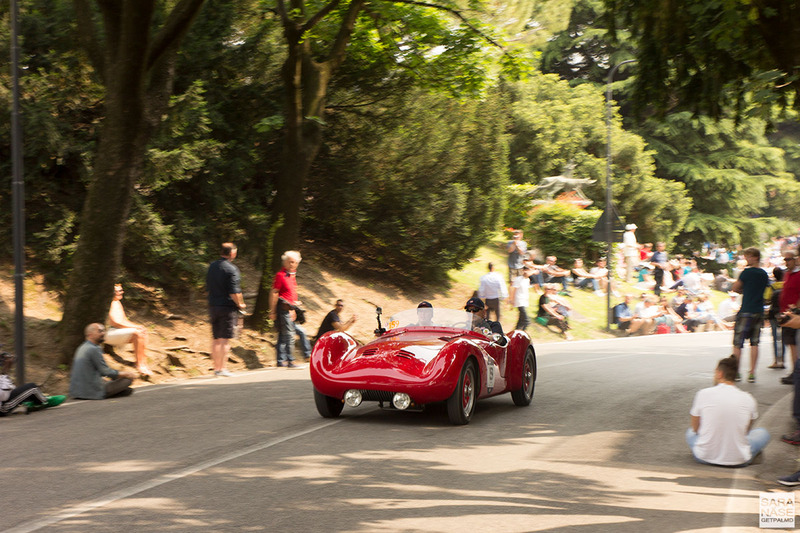 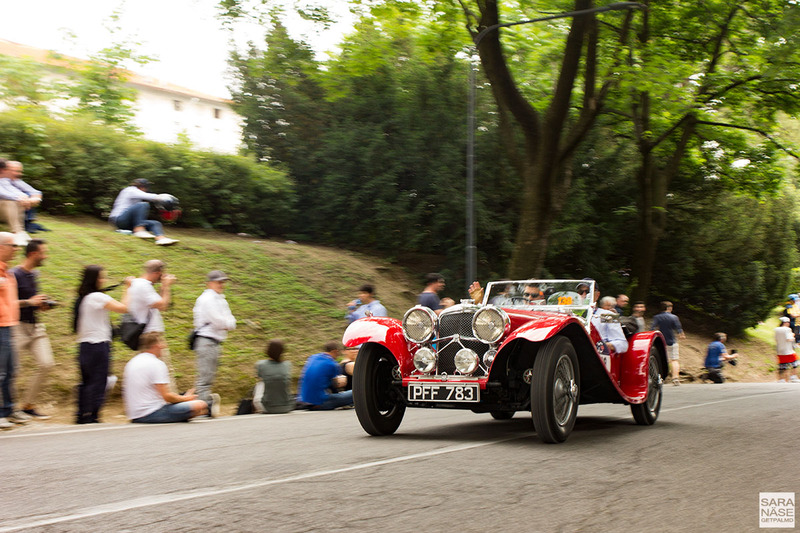 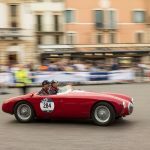 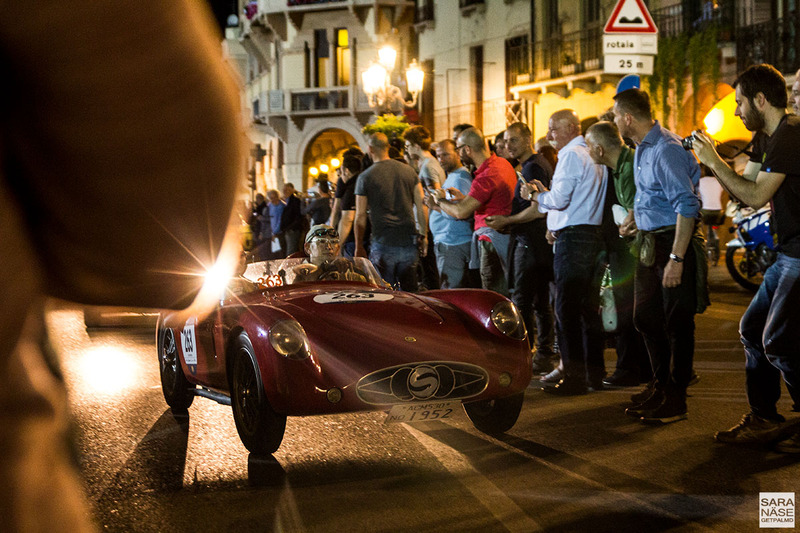 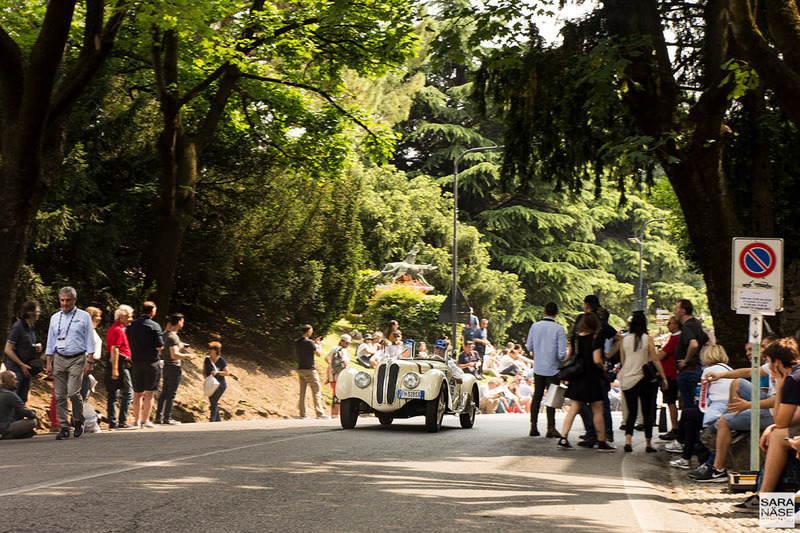 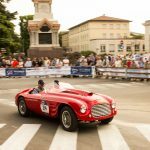 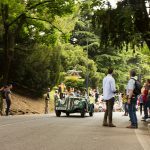 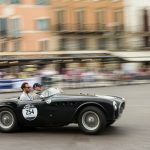 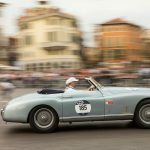 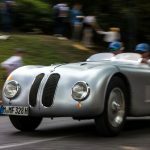 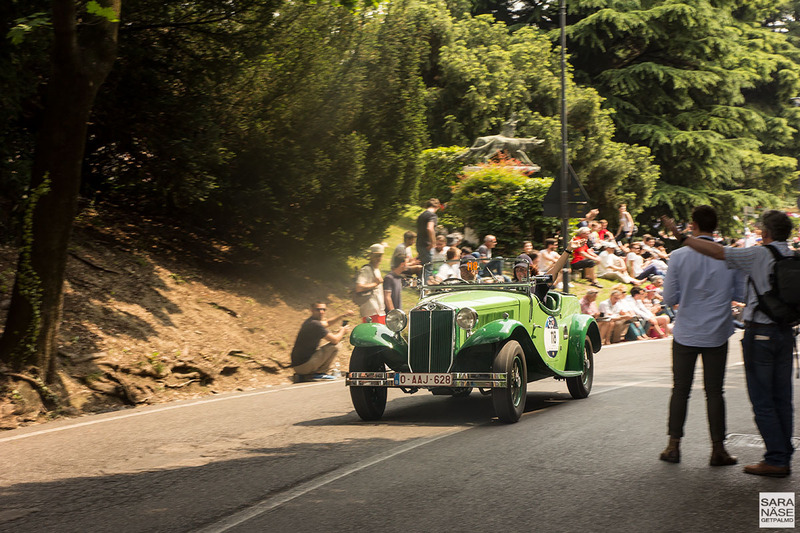 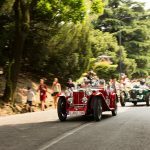 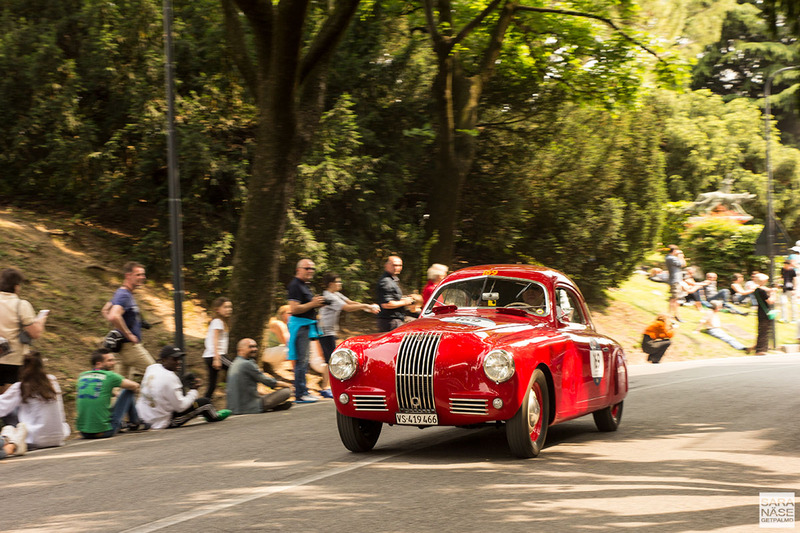 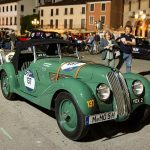 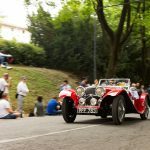 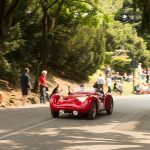 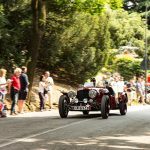 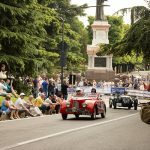 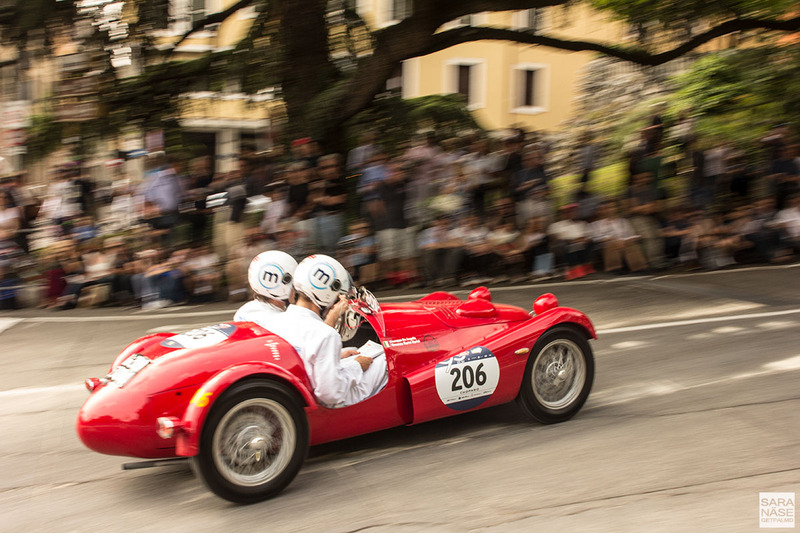 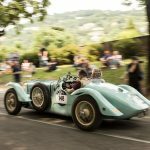 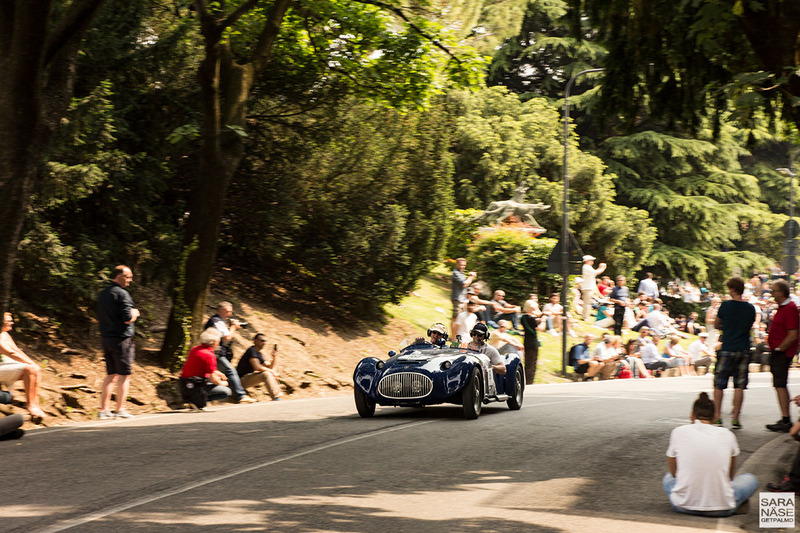 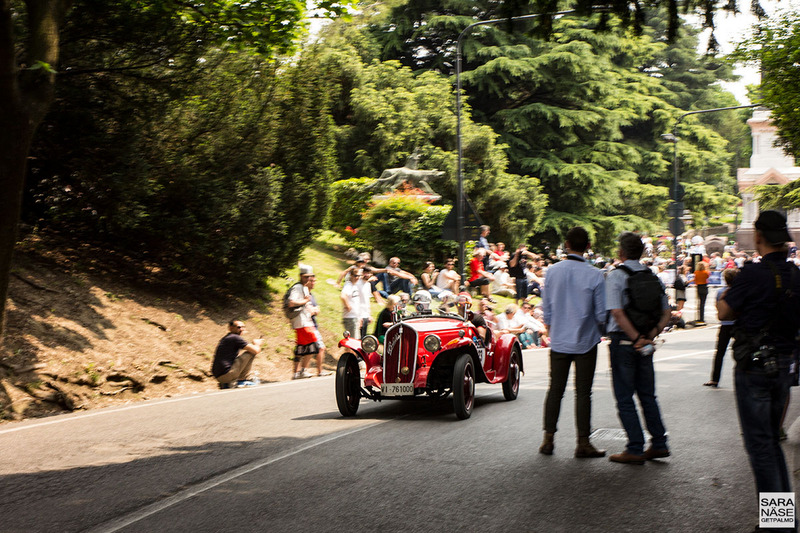 The joy around Mille Miglia 2017 started inside Brescia, with thousands of enthusiasts cheering by the road as one by one the cars left the city. 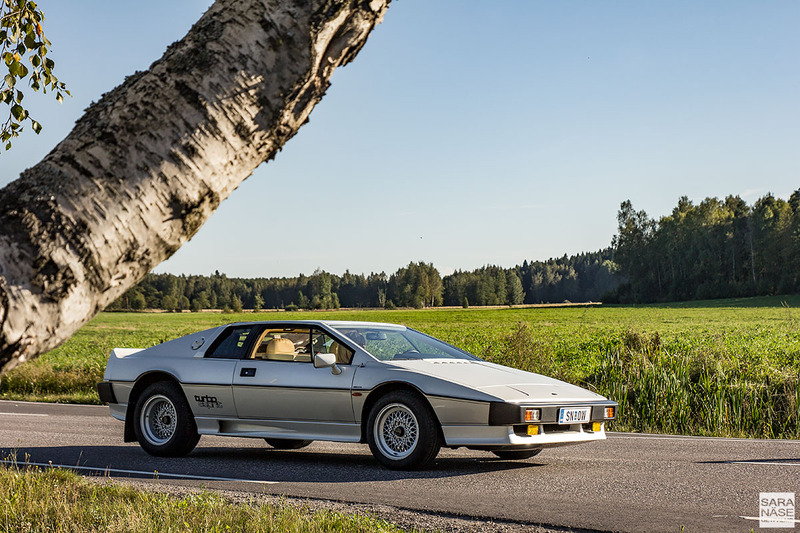 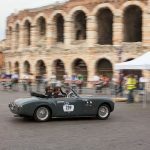 It continued out, and on to the open roads, with supporters following determined classic car pilots filled with energy. 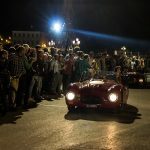 We drove through towns where locals and tourists had brought their chairs by the side of the road, waving when the cars drove by and children screaming because they just saw their dream at almost touching distance. 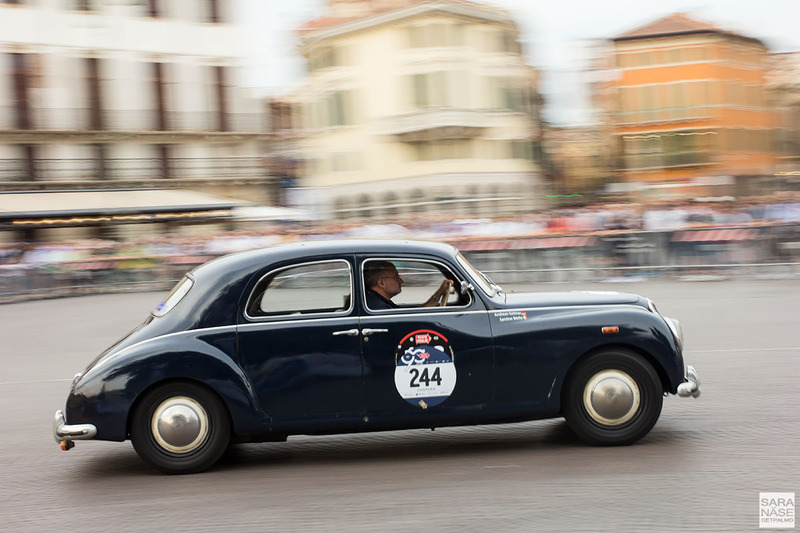 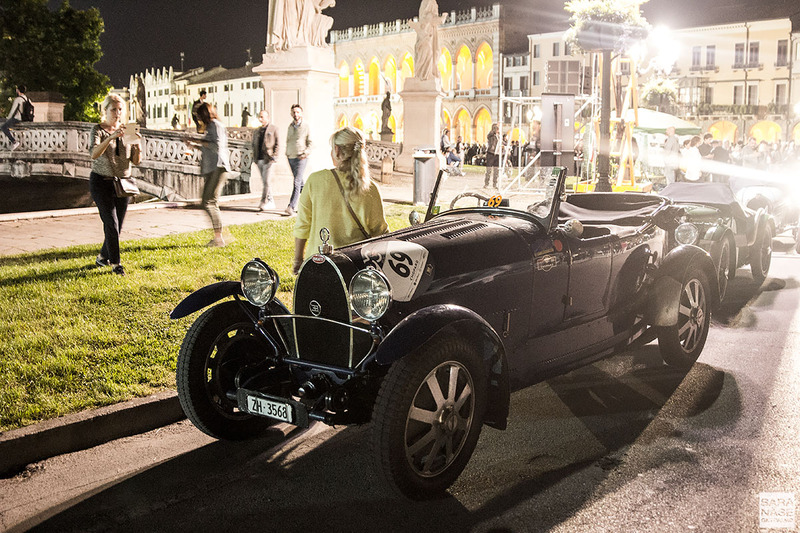 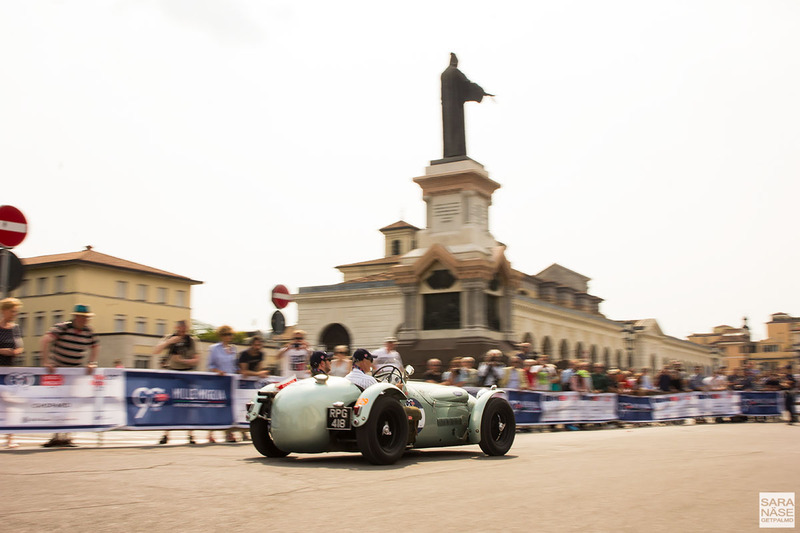 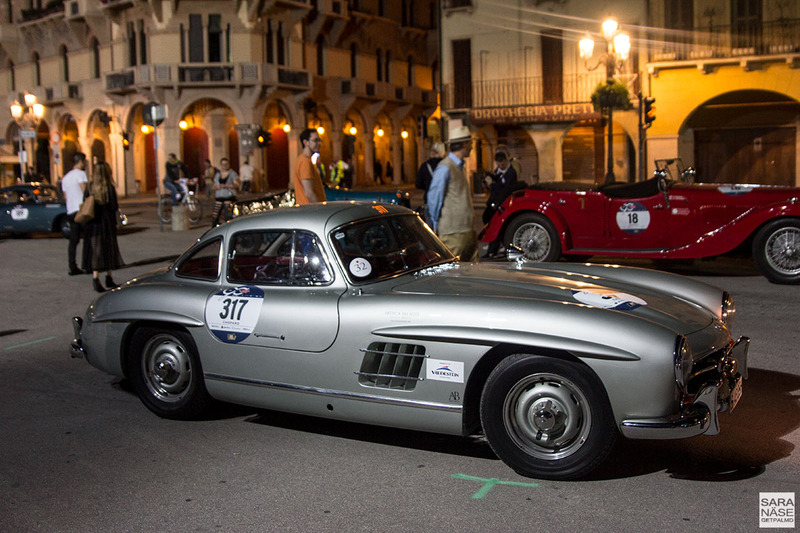 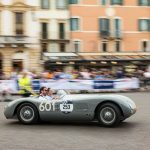 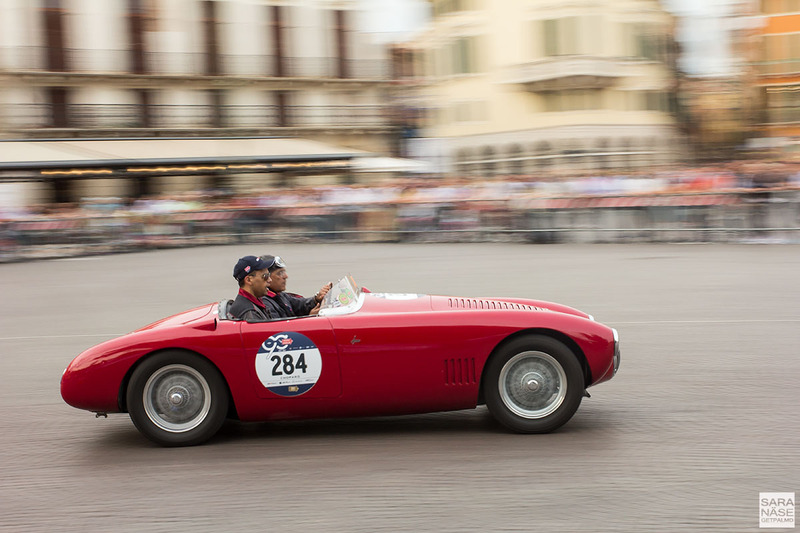 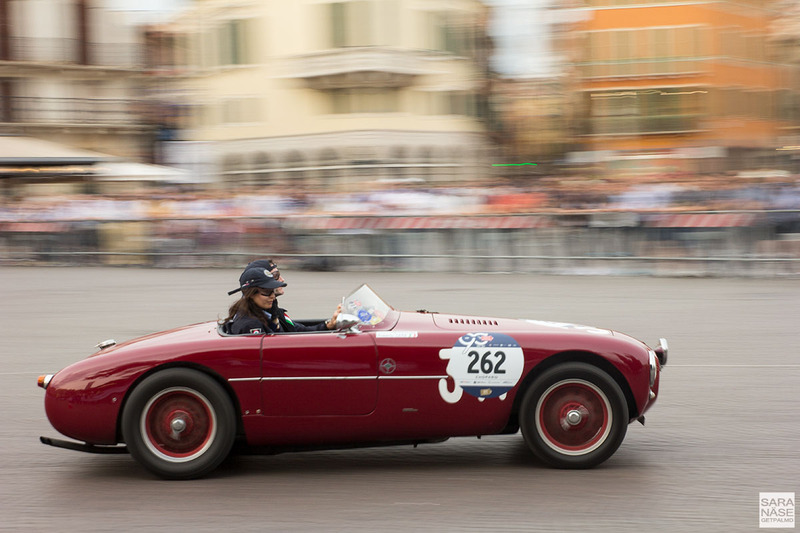 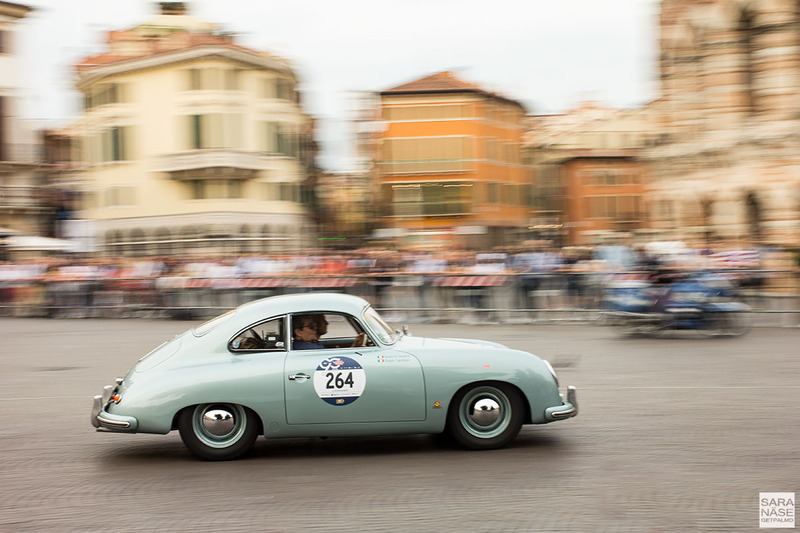 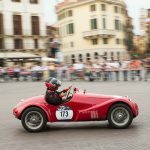 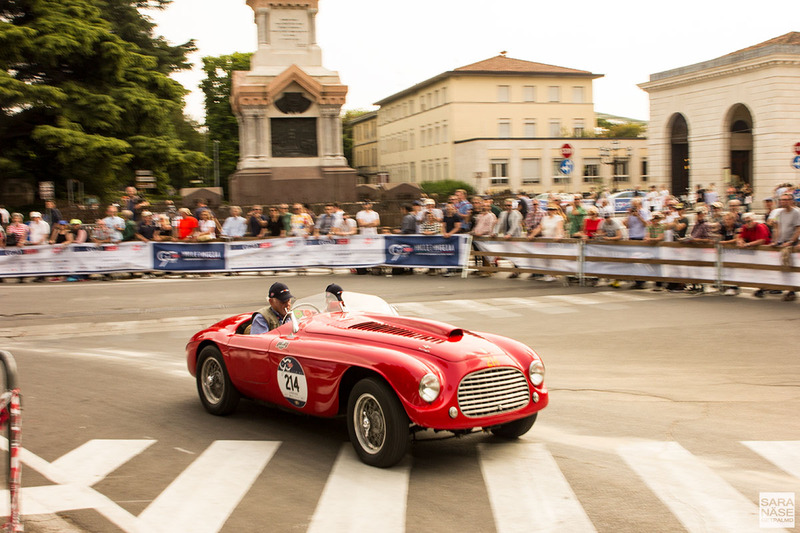 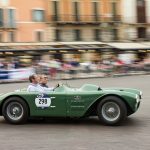 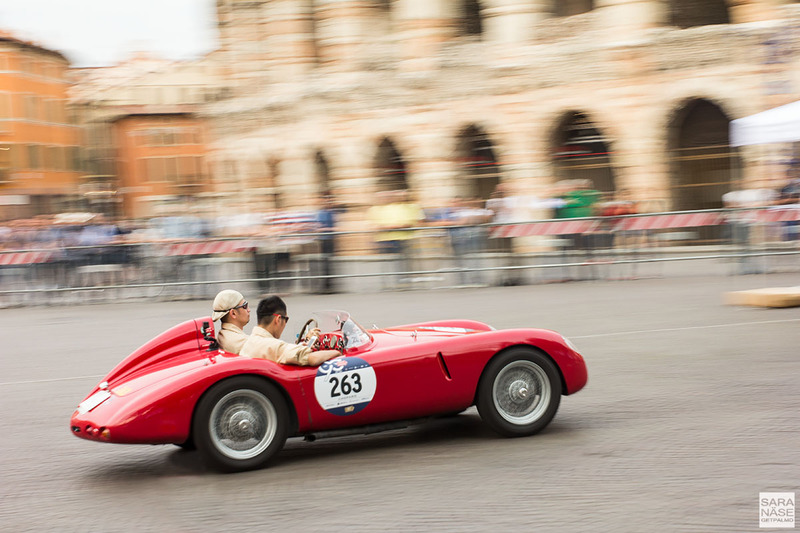 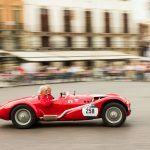 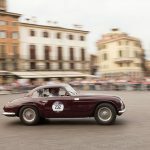 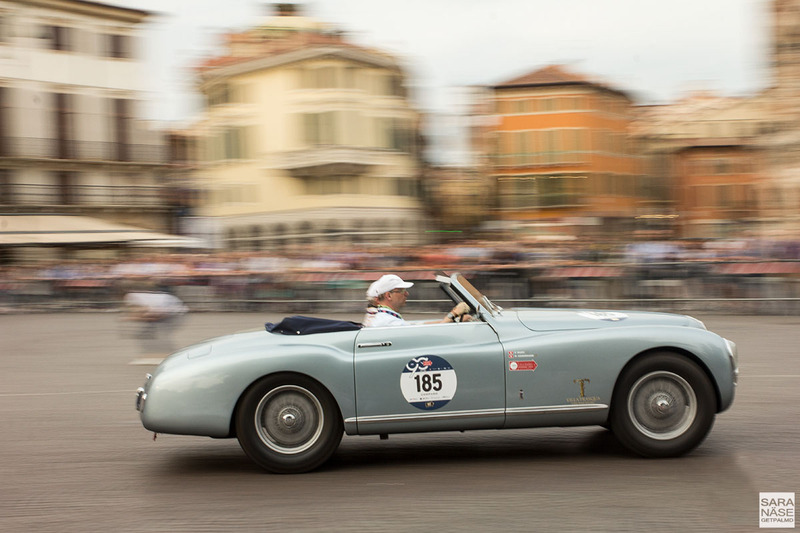 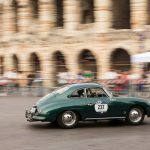 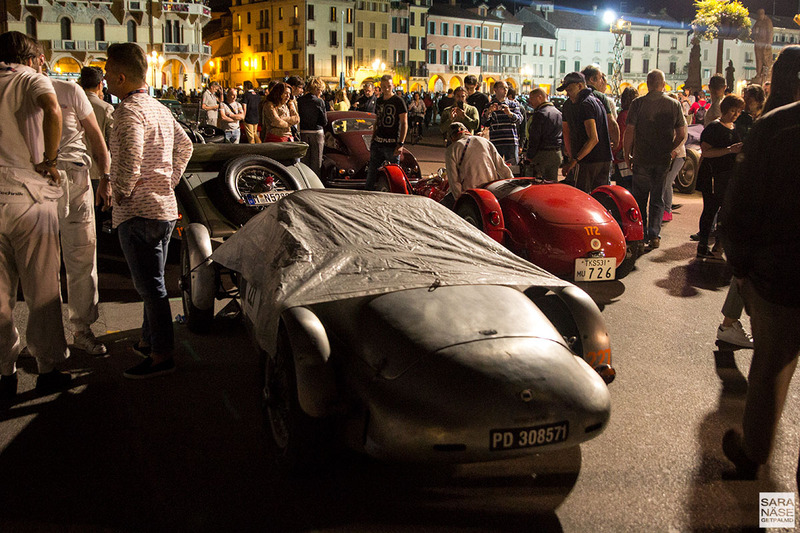 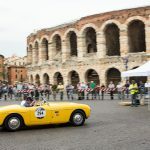 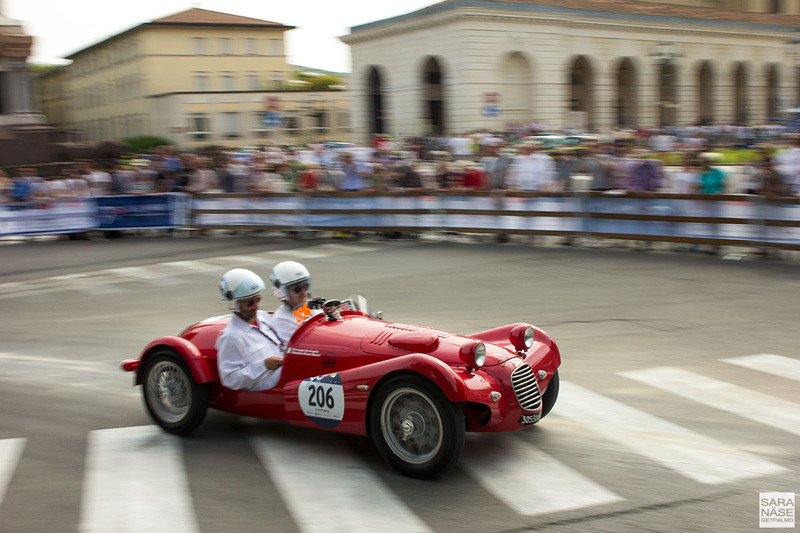 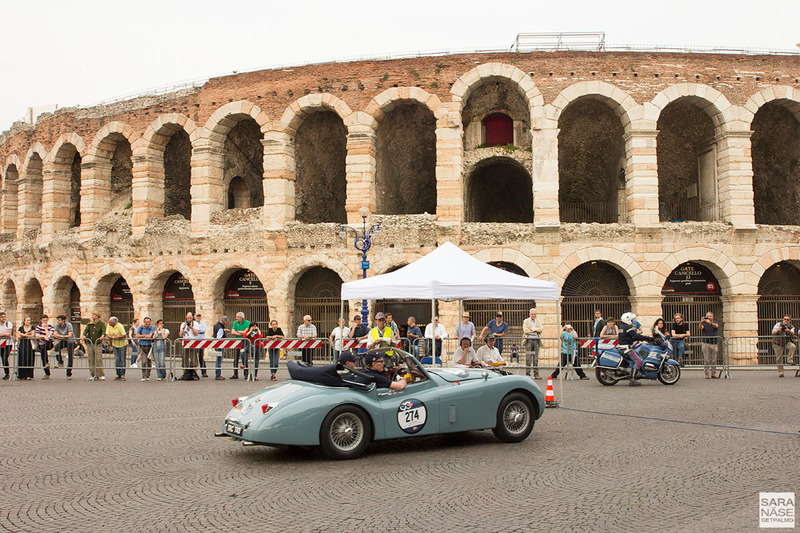 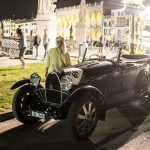 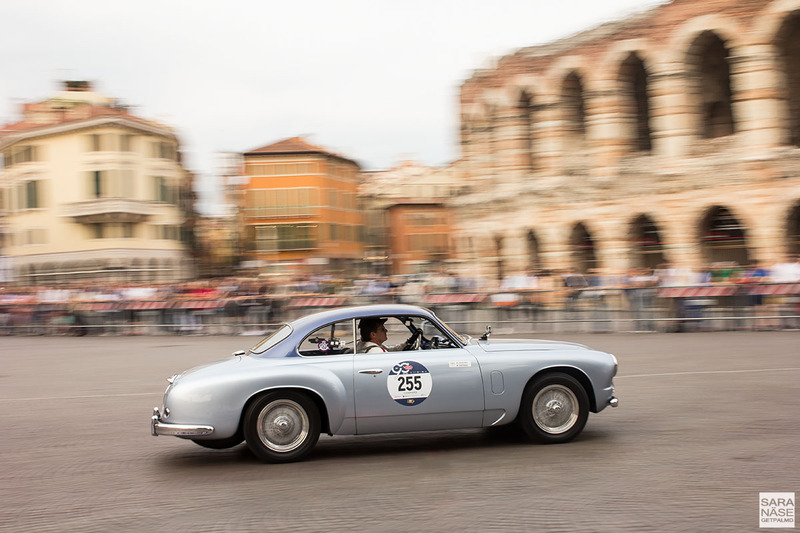 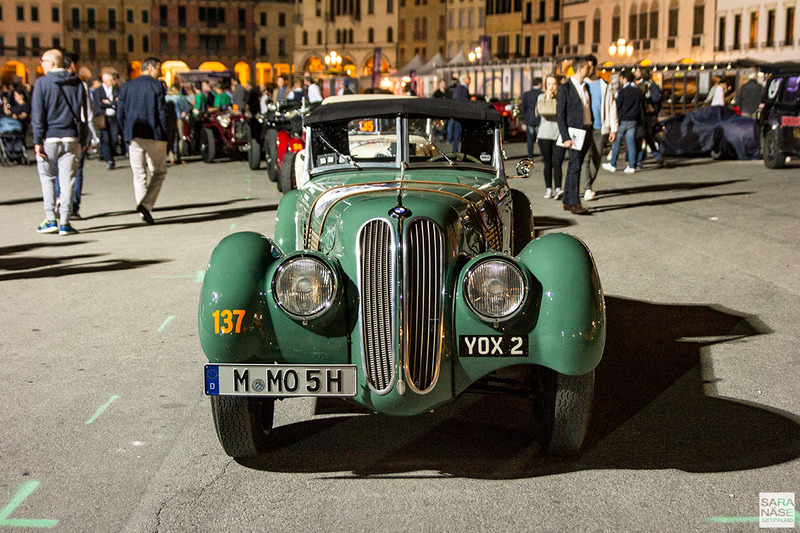 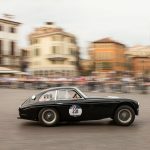 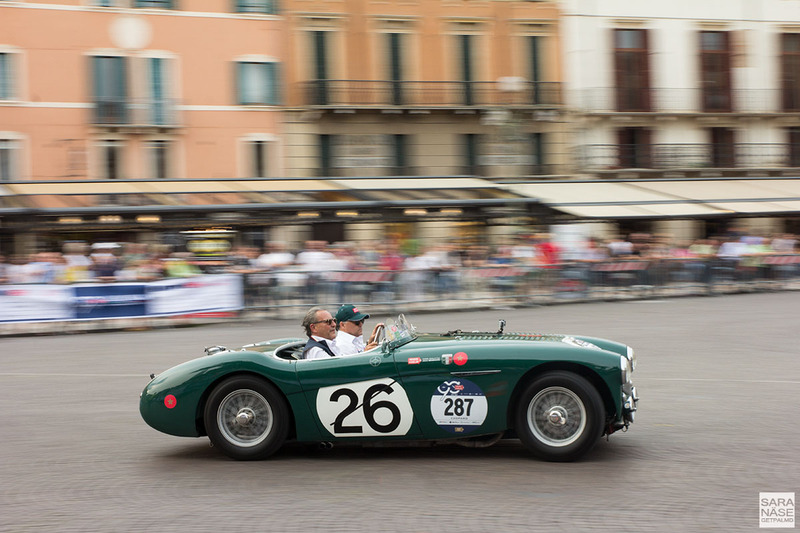 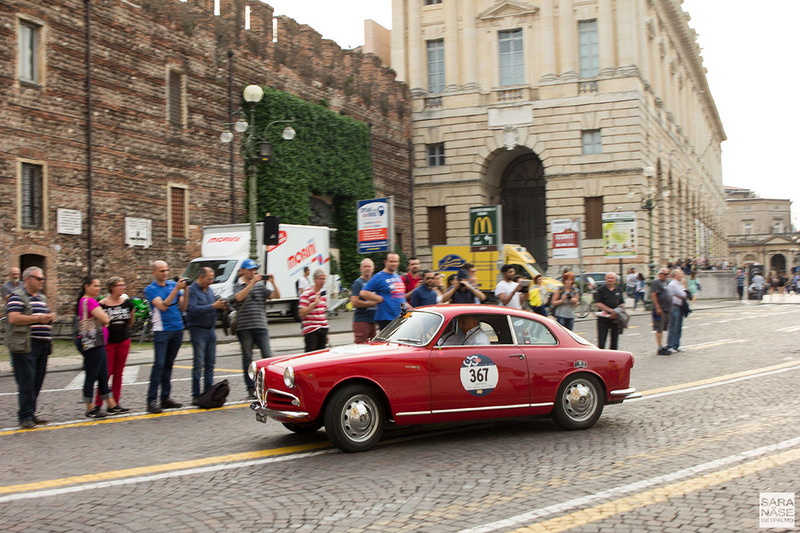 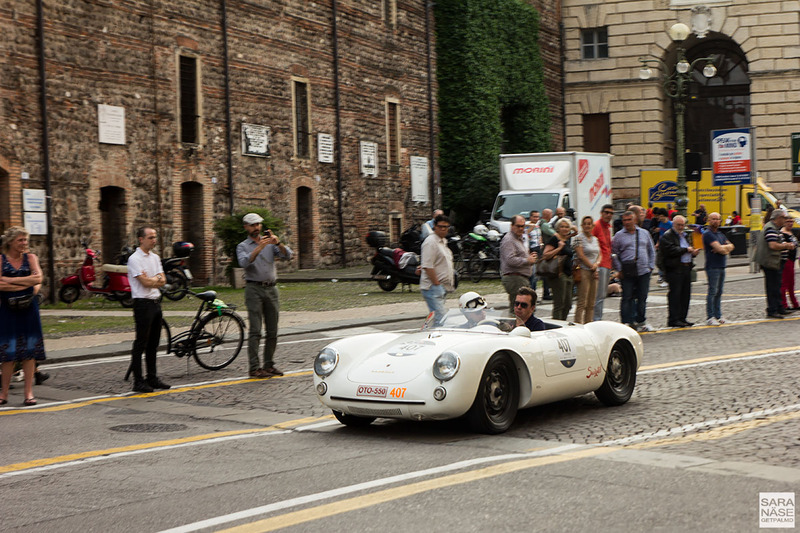 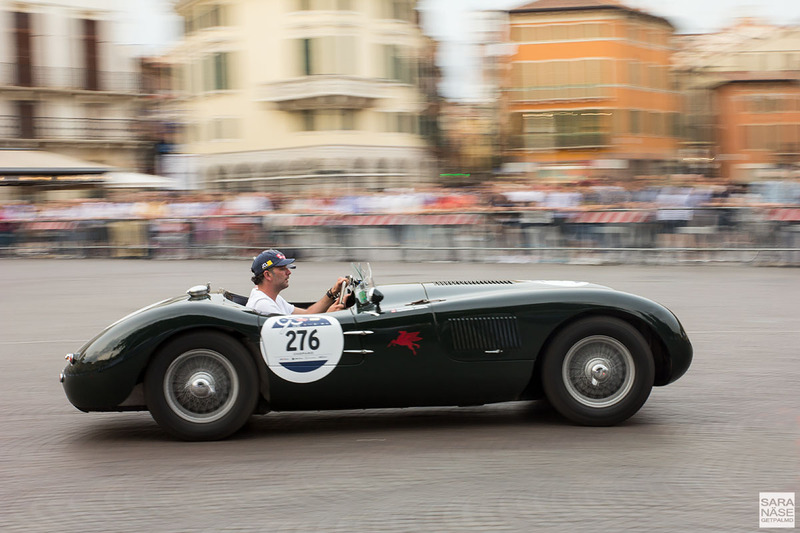 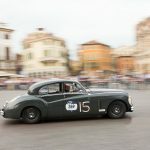 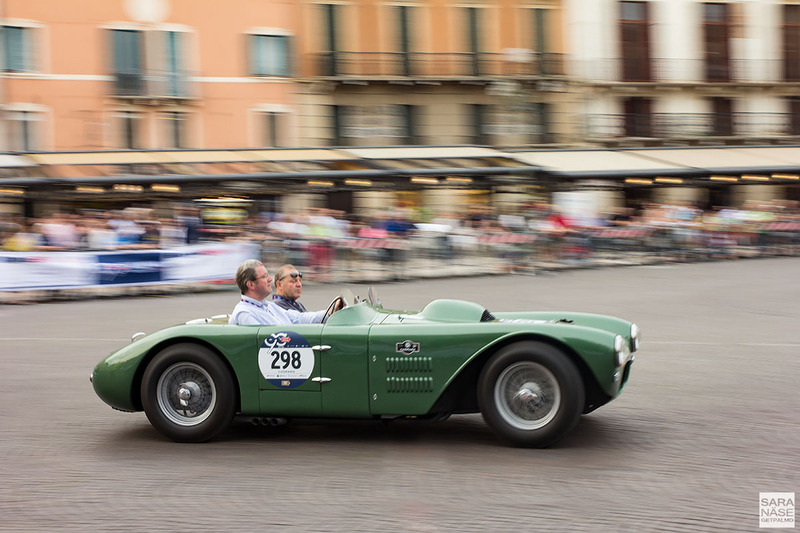 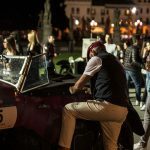 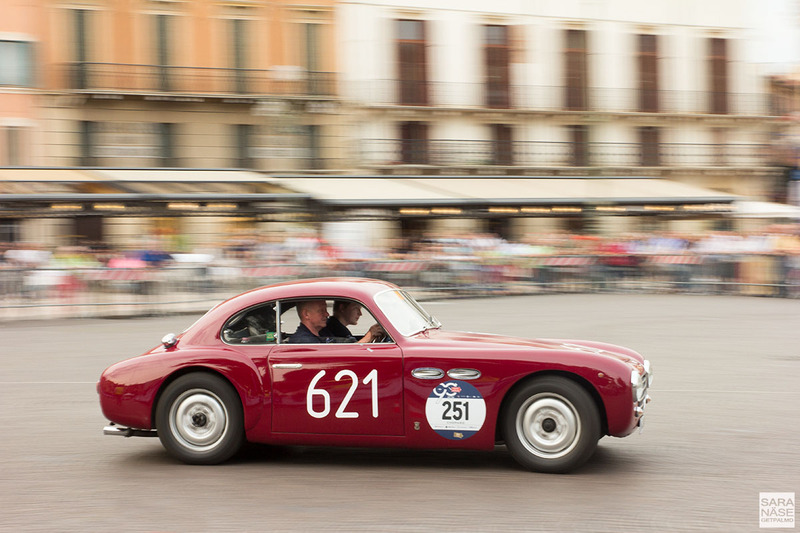 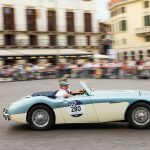 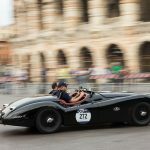 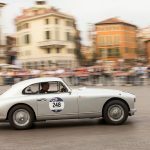 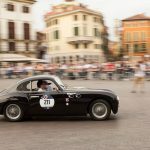 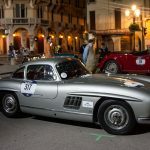 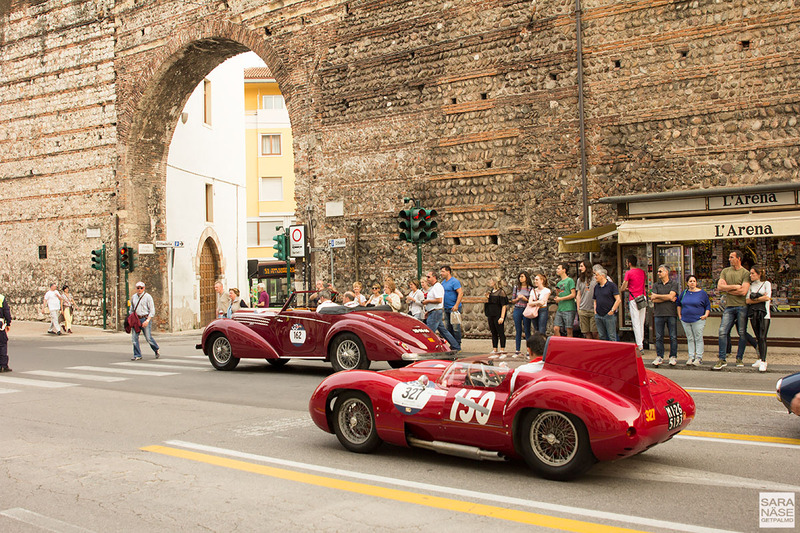 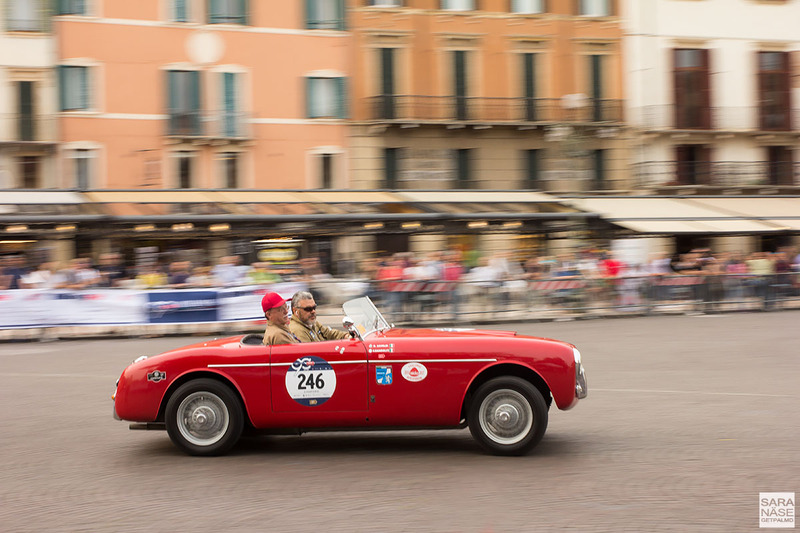 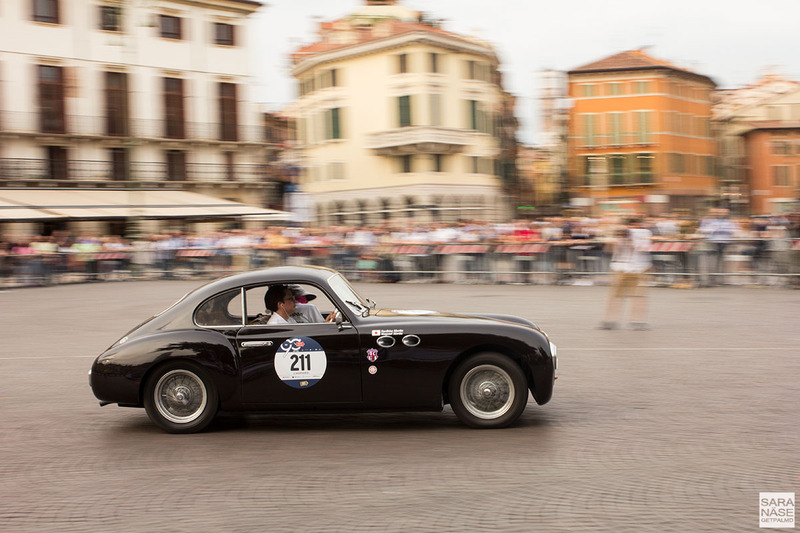 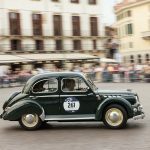 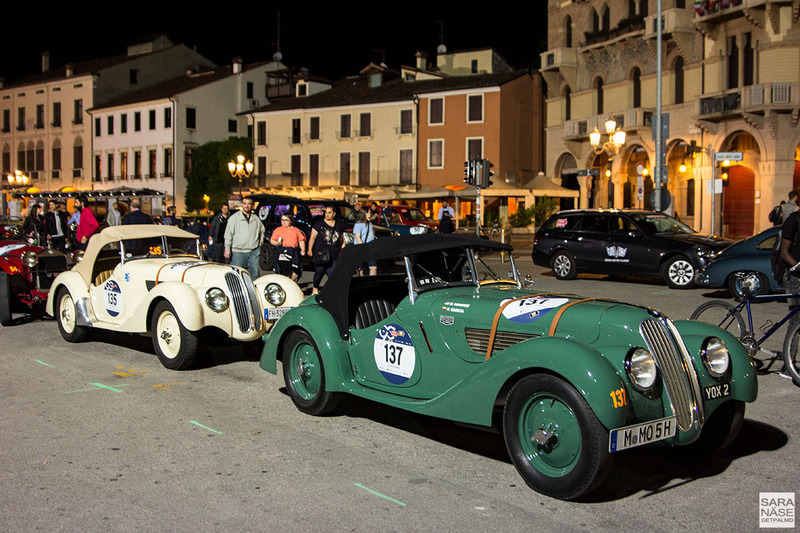 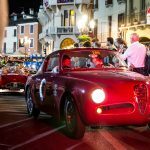 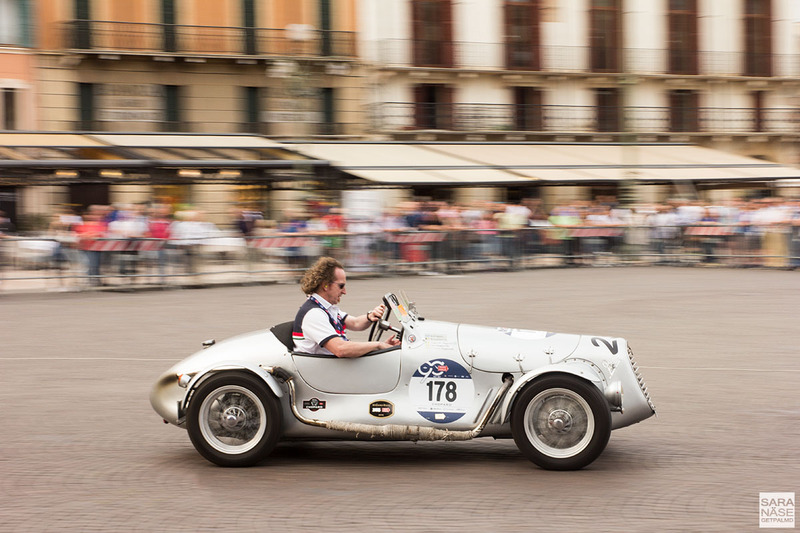 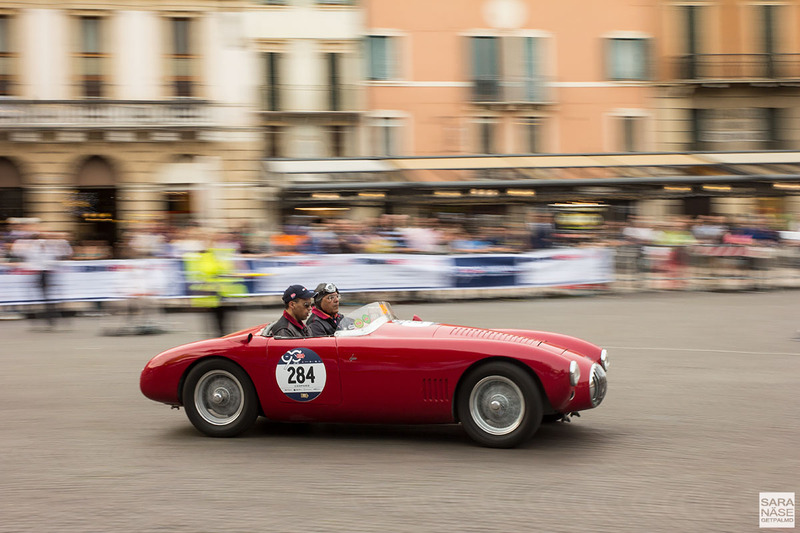 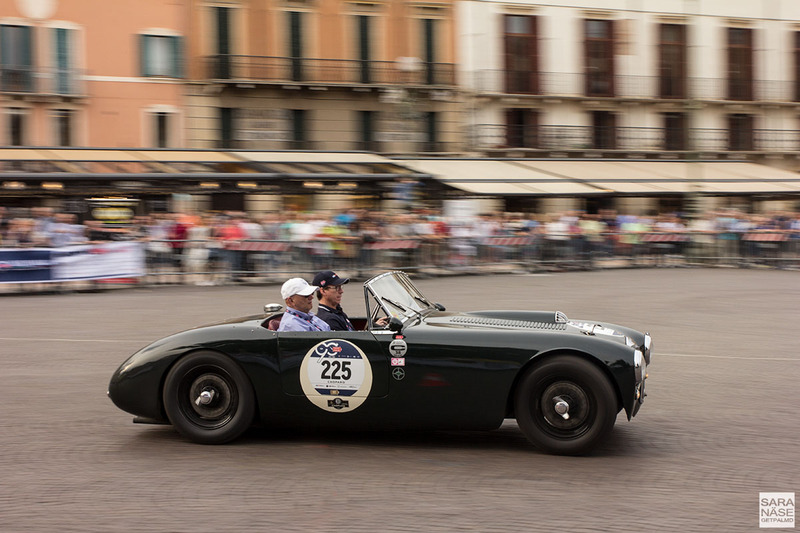 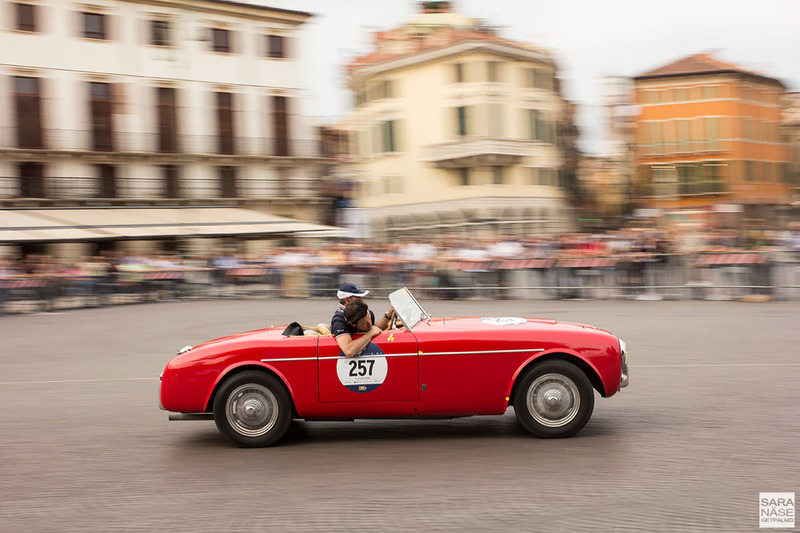 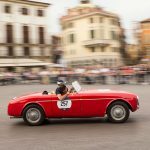 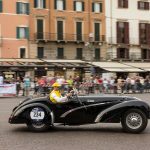 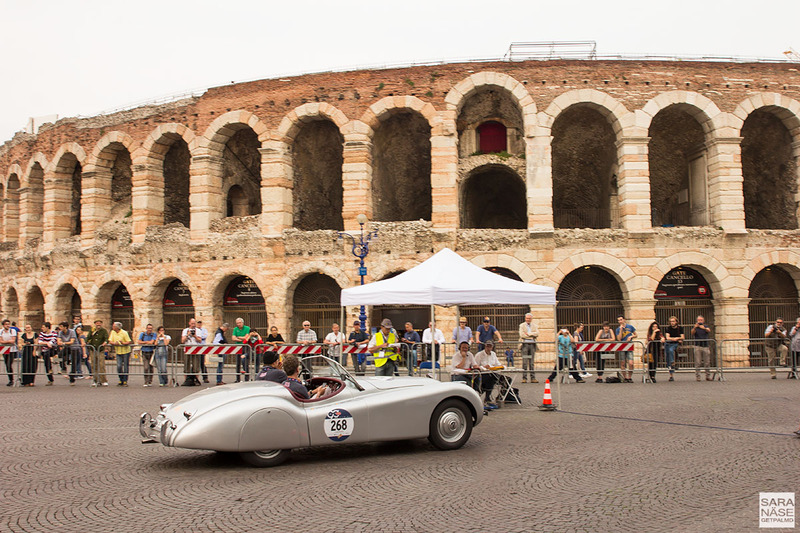 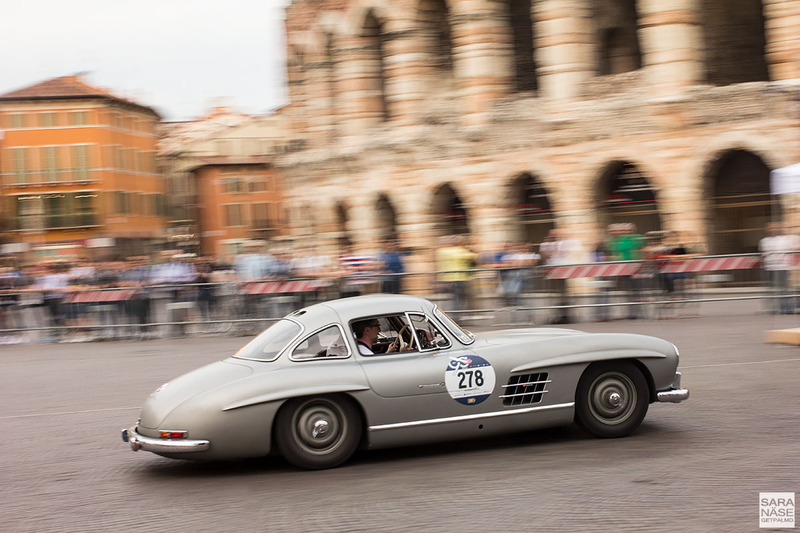 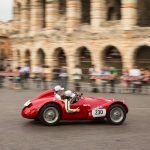 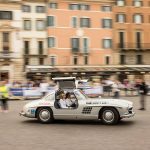 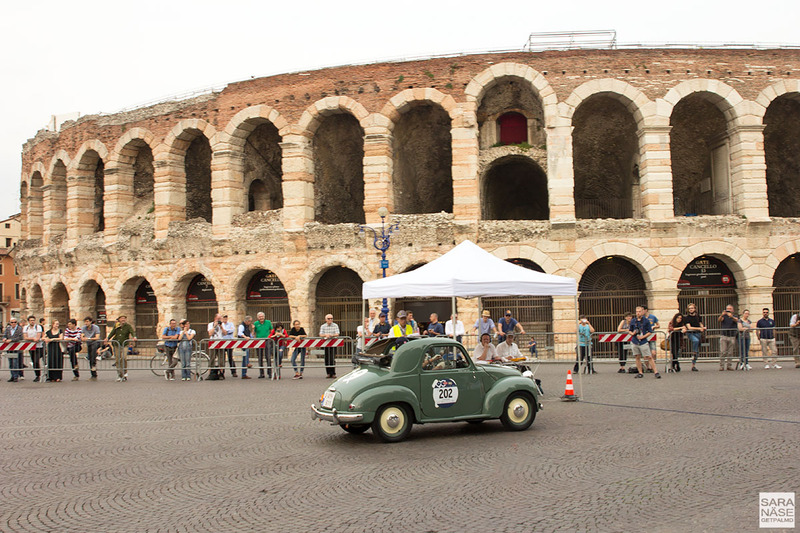 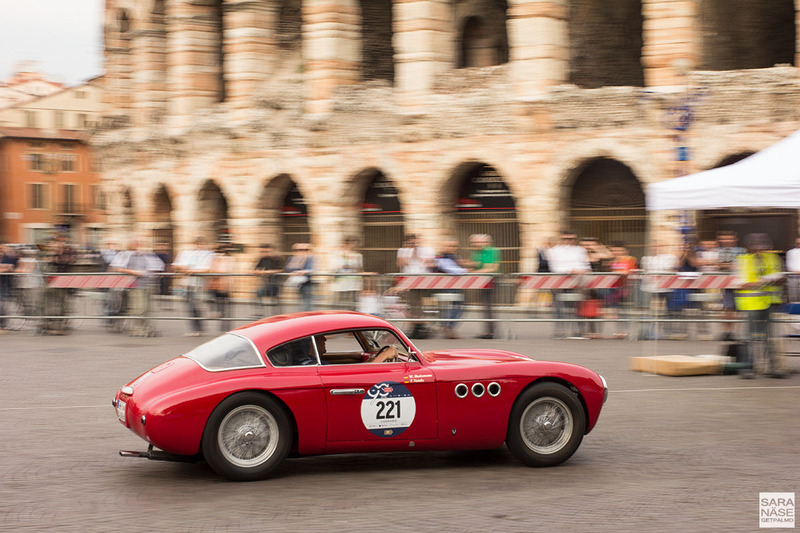 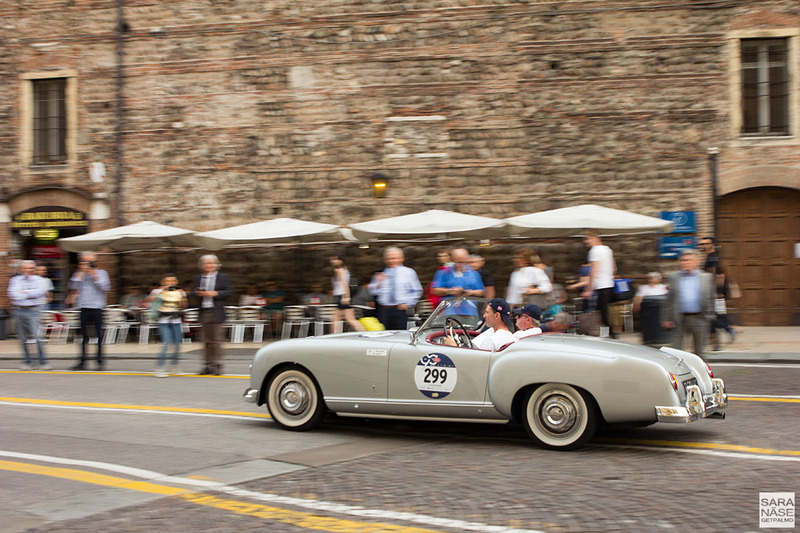 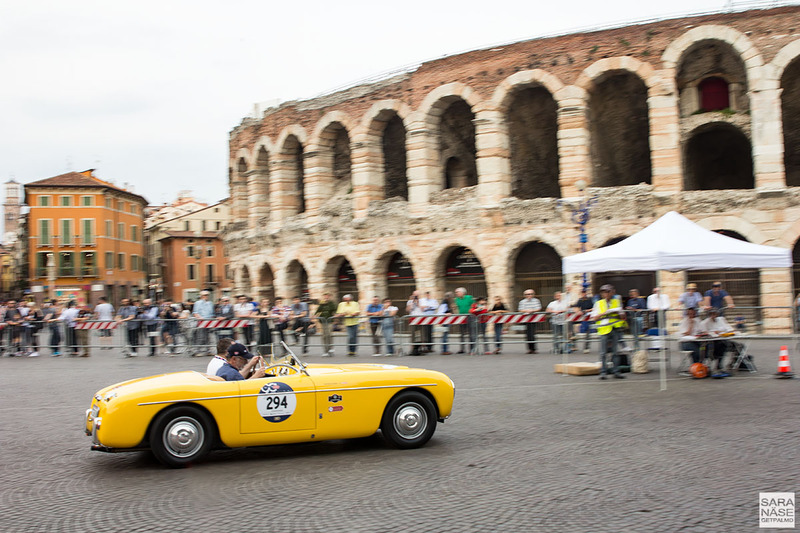 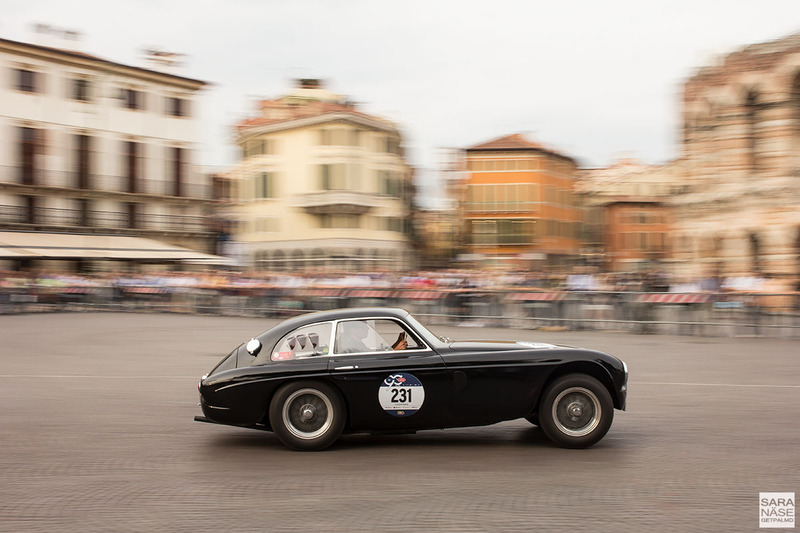 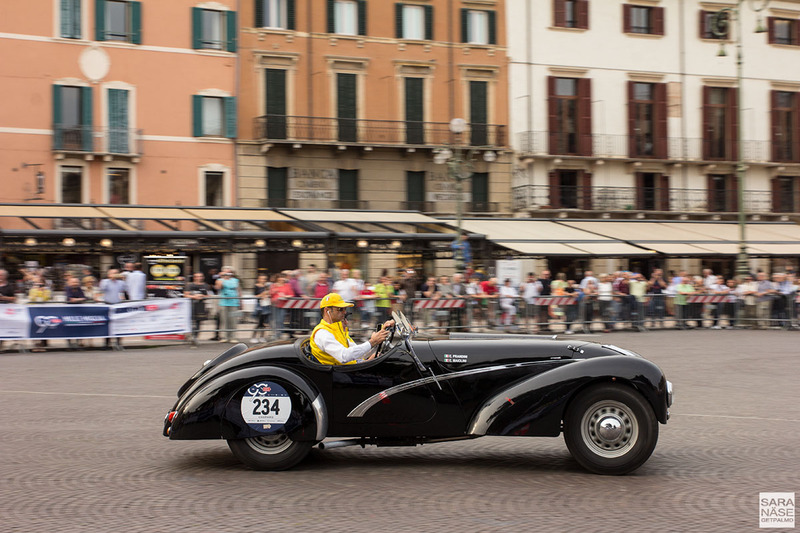 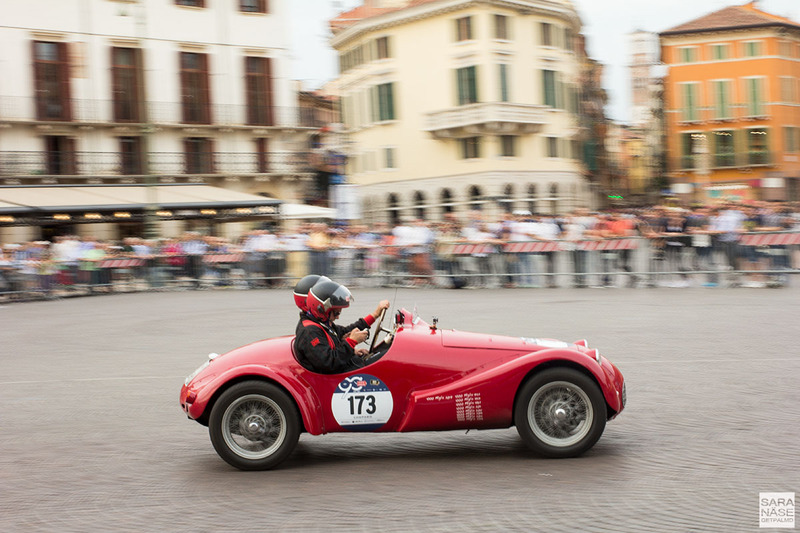 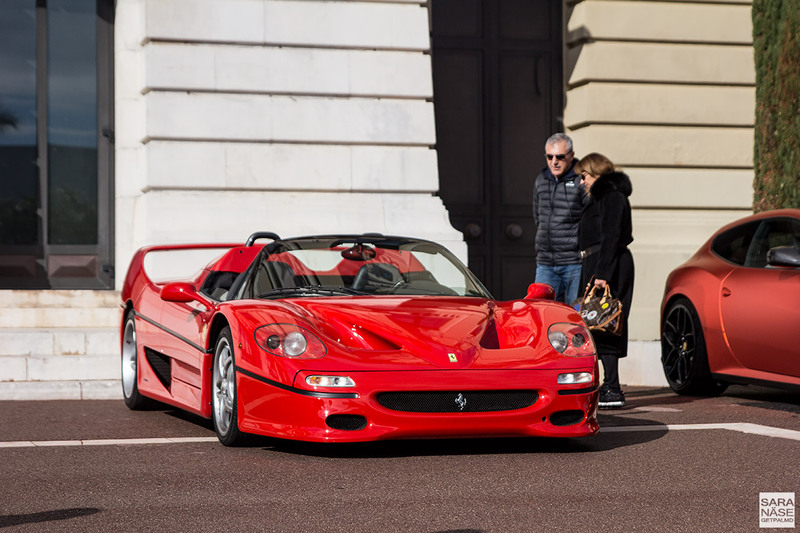 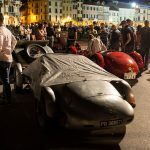 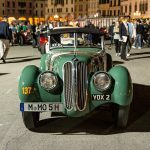 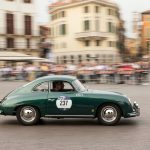 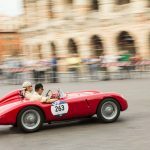 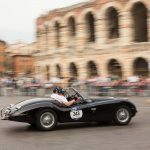 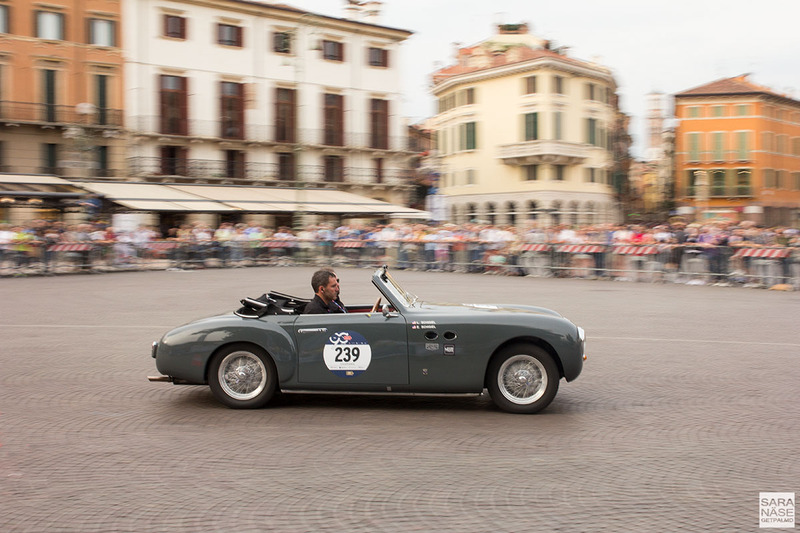 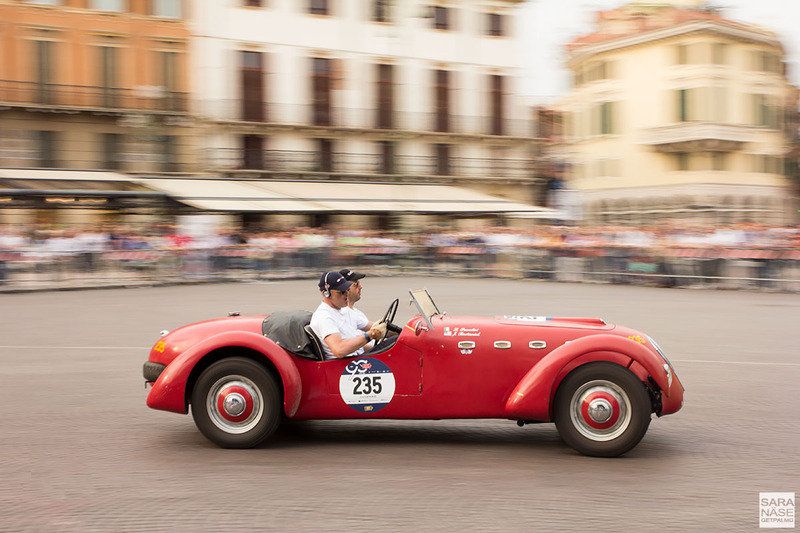 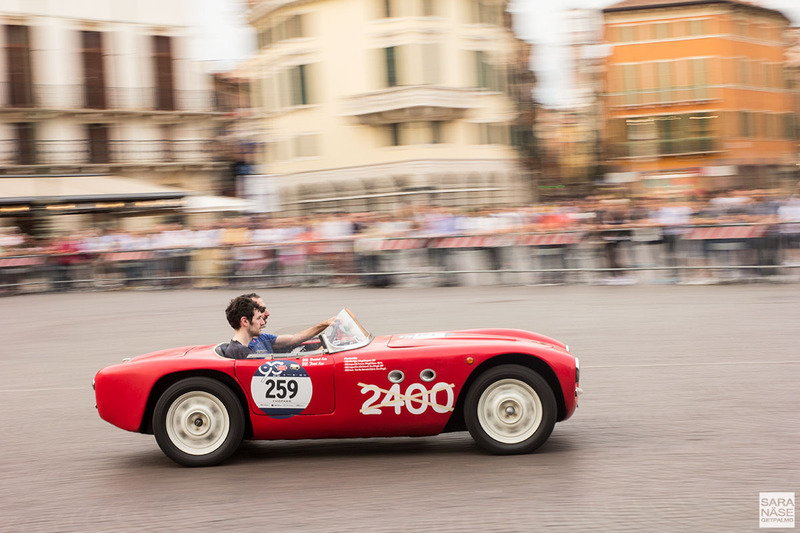 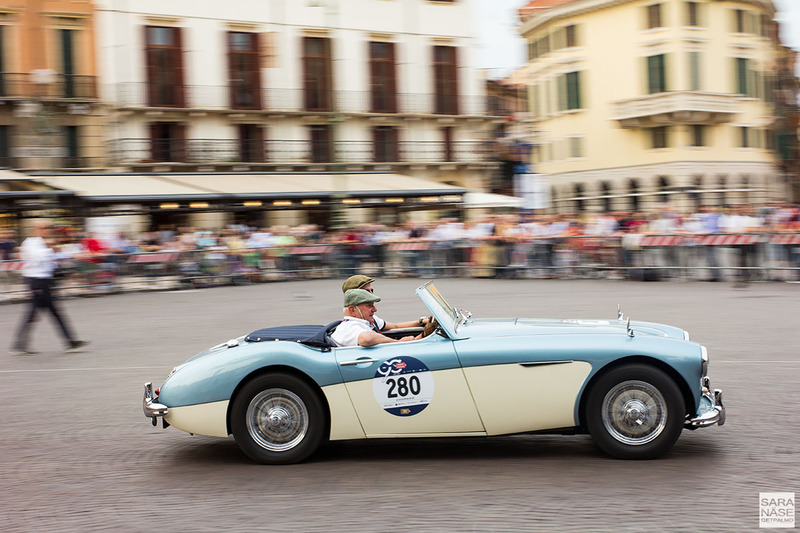 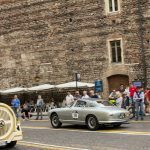 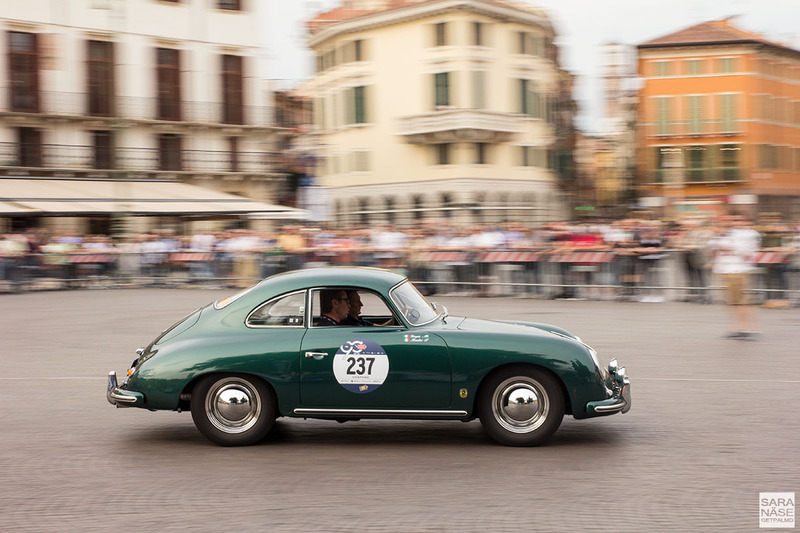 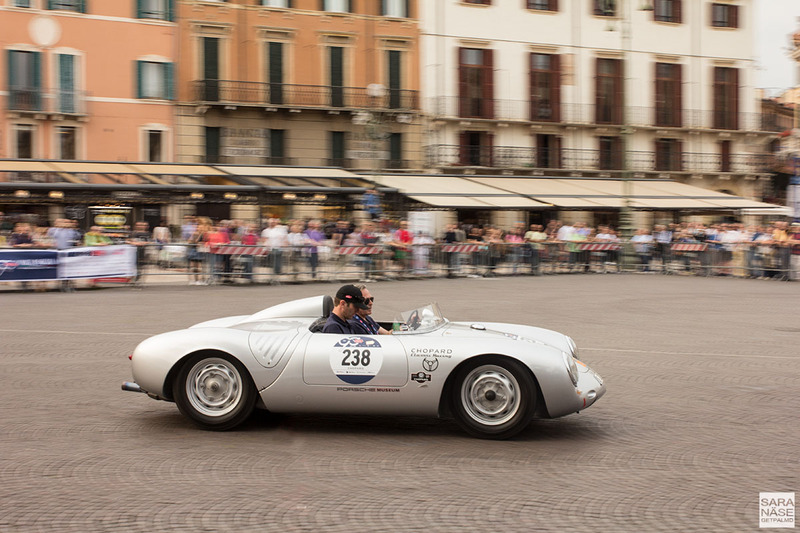 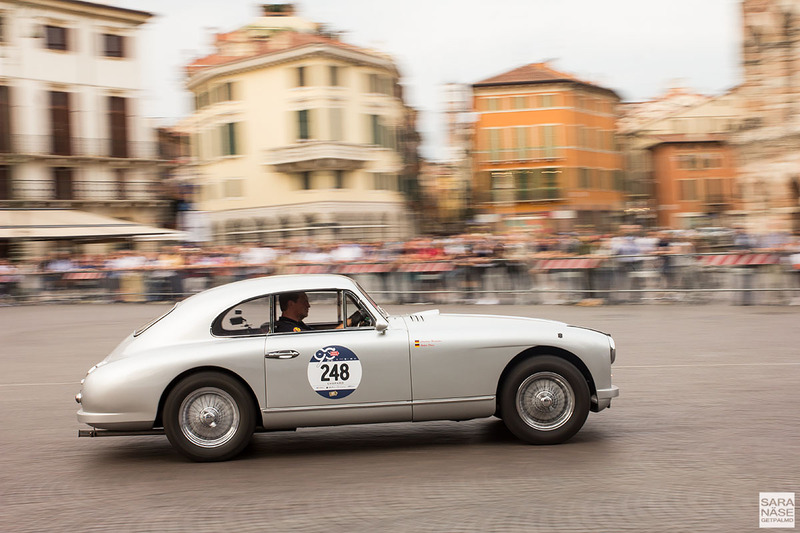 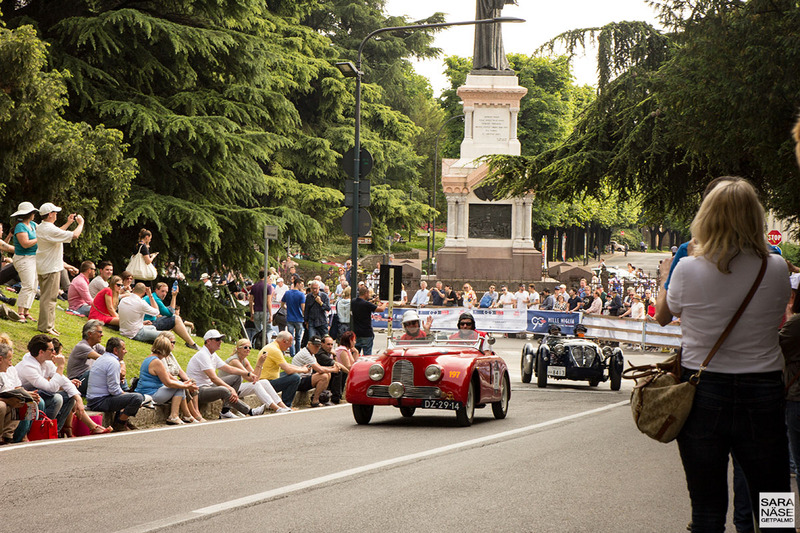 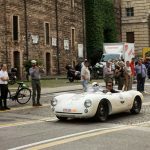 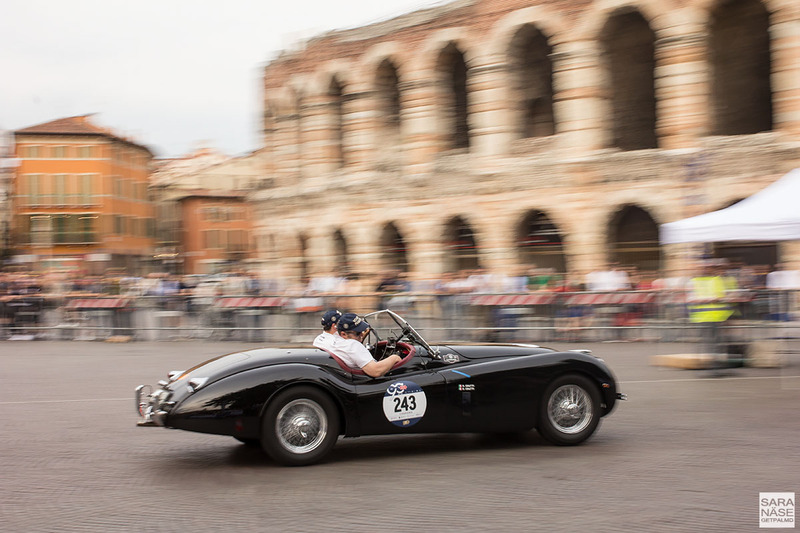 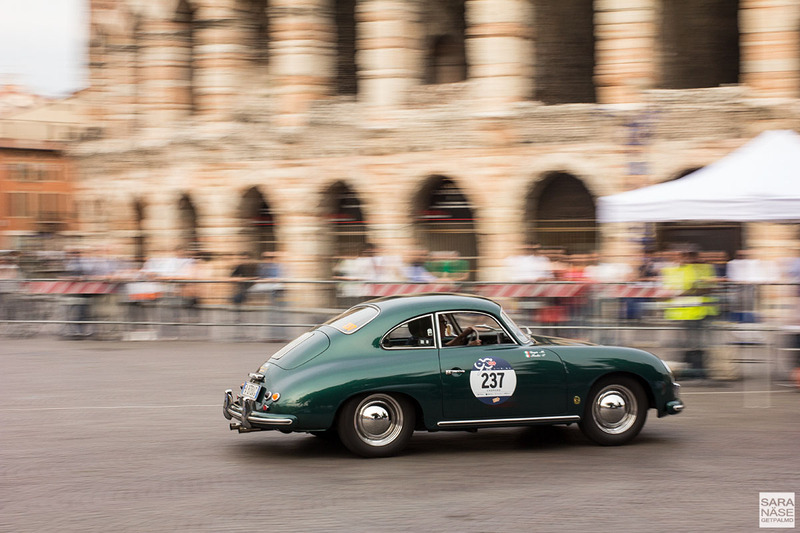 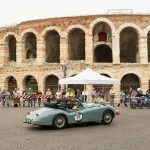 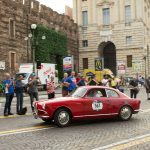 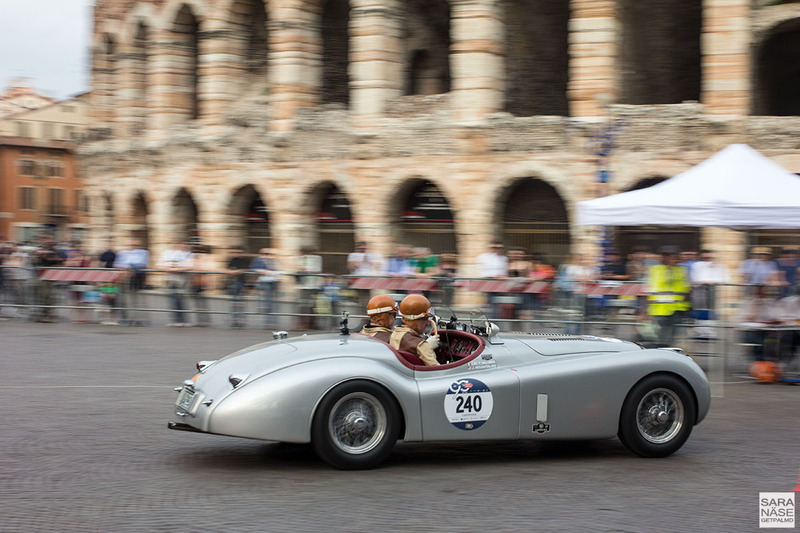 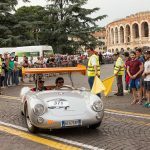 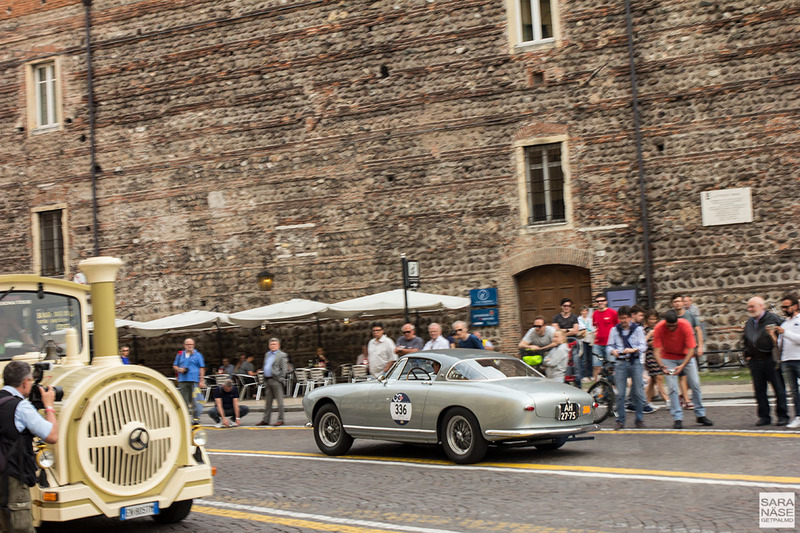 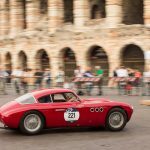 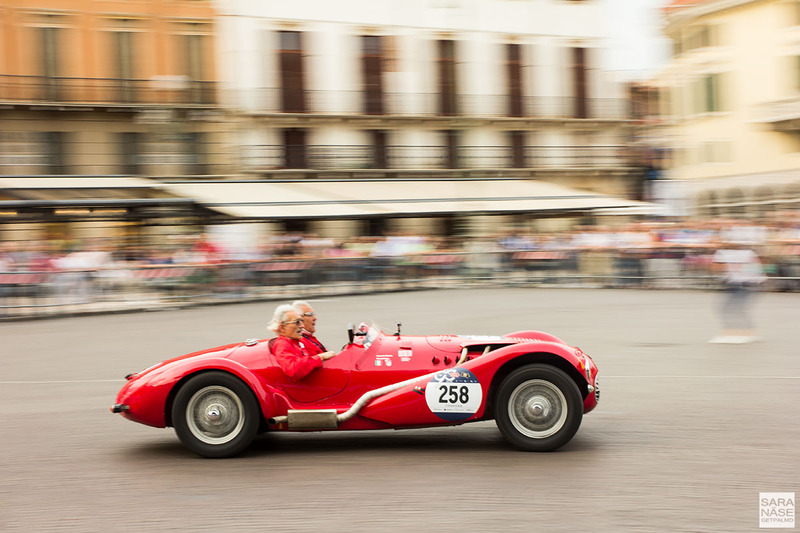 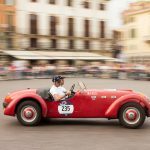 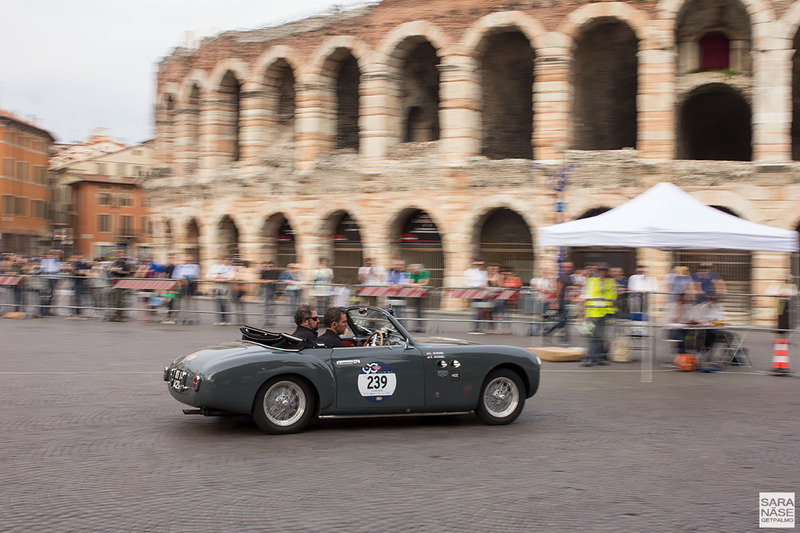 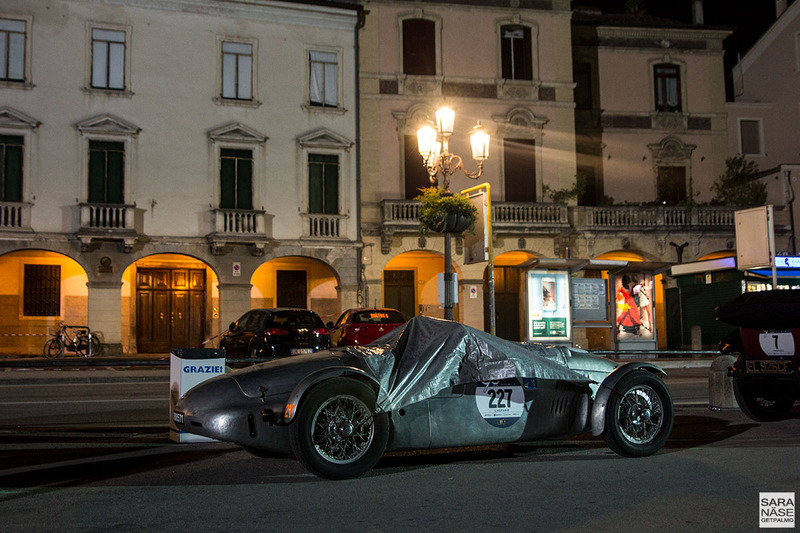 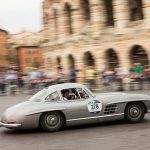 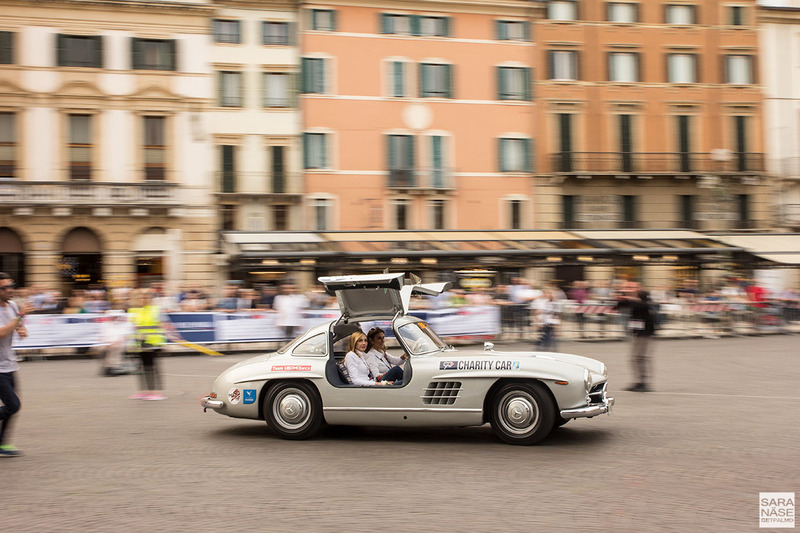 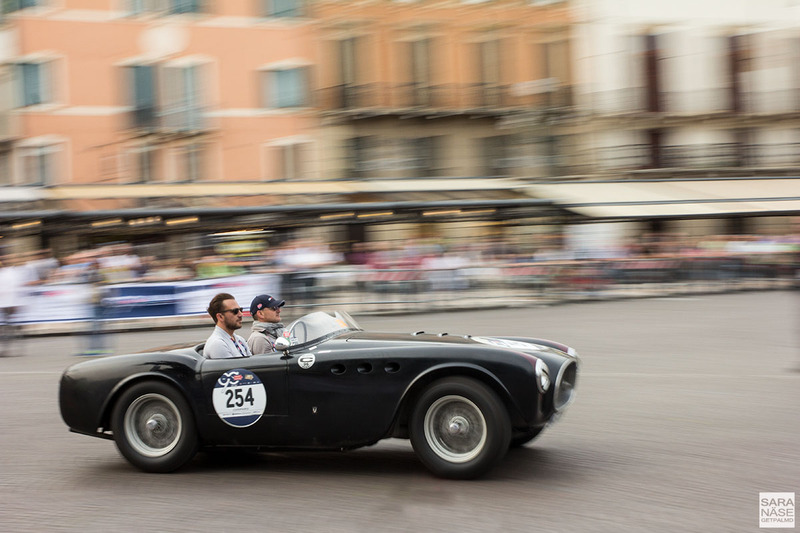 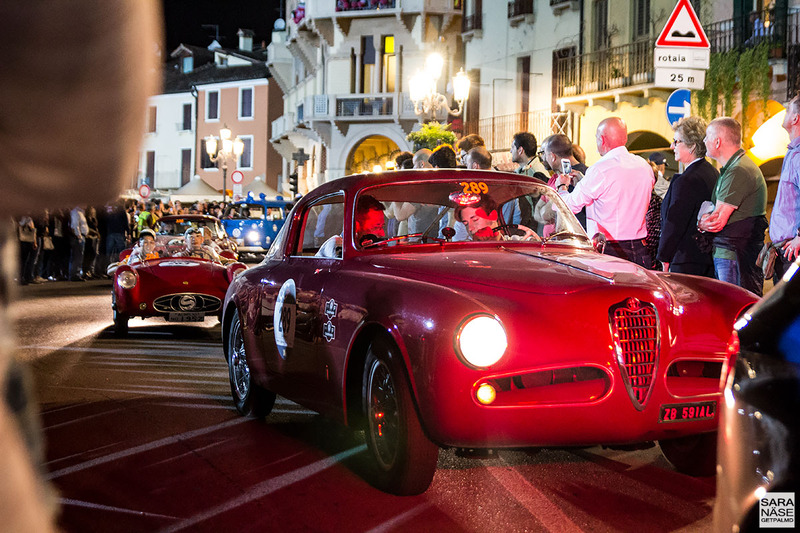 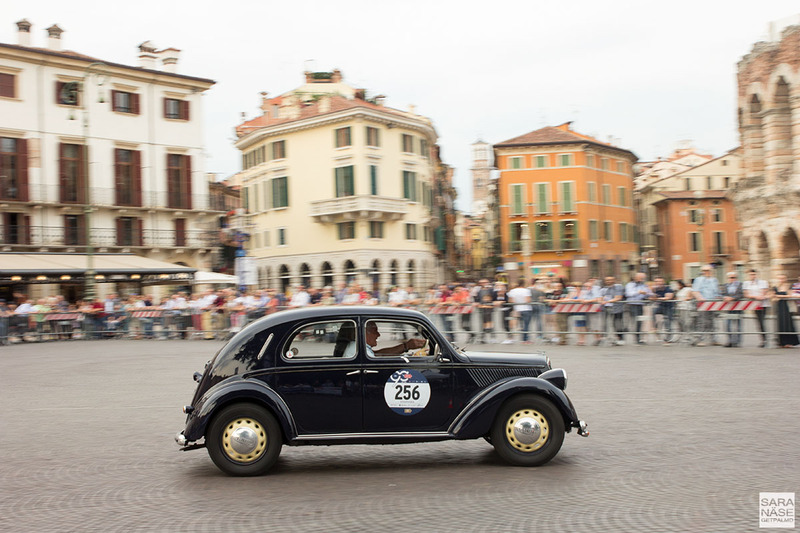 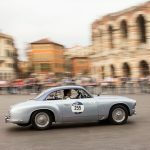 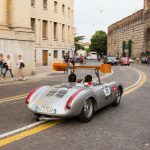 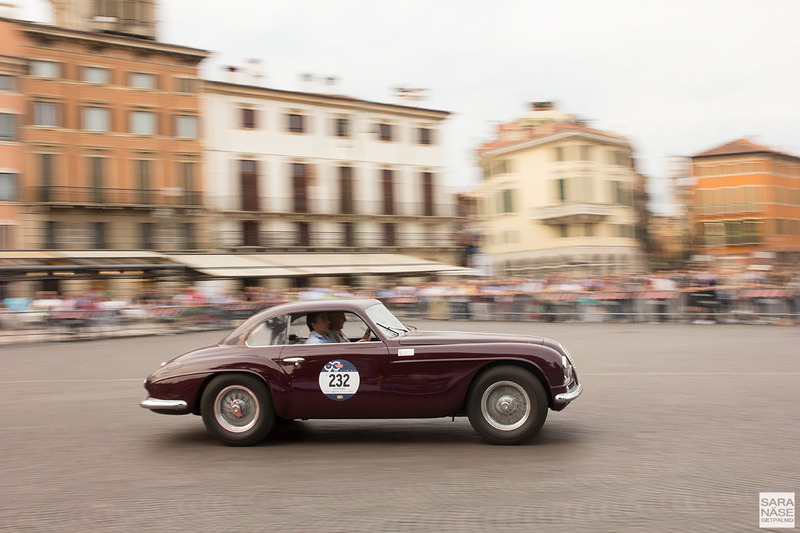 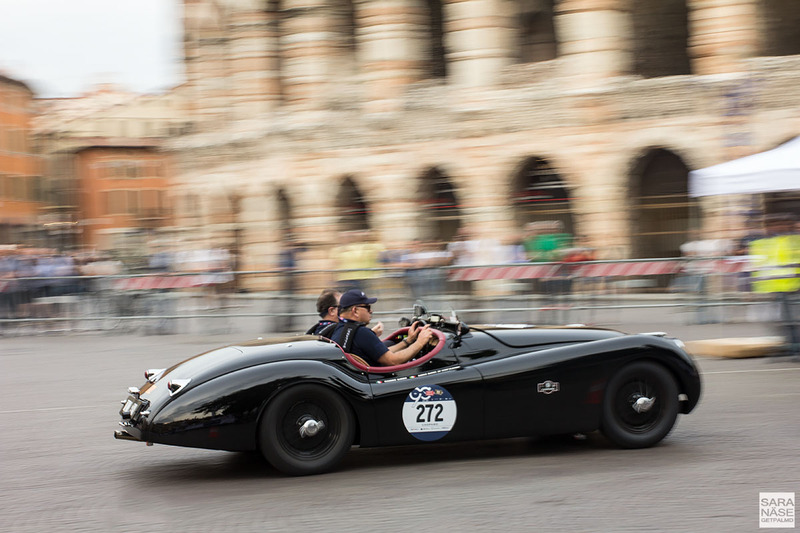 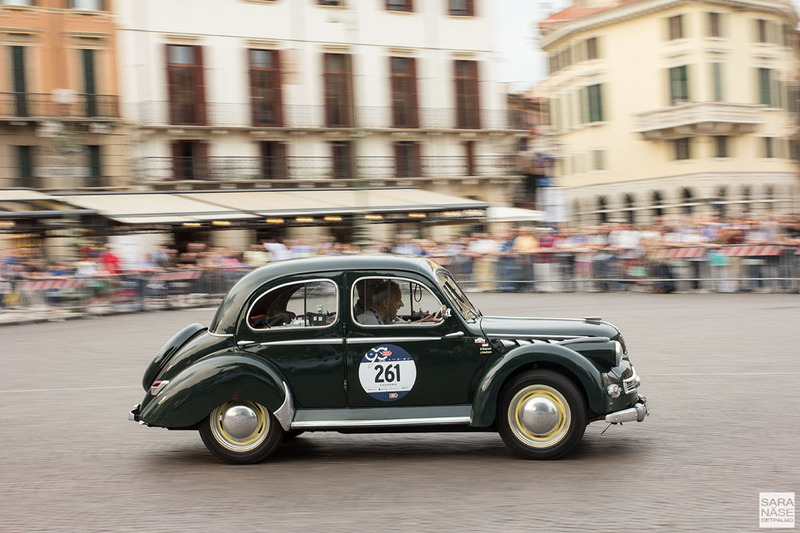 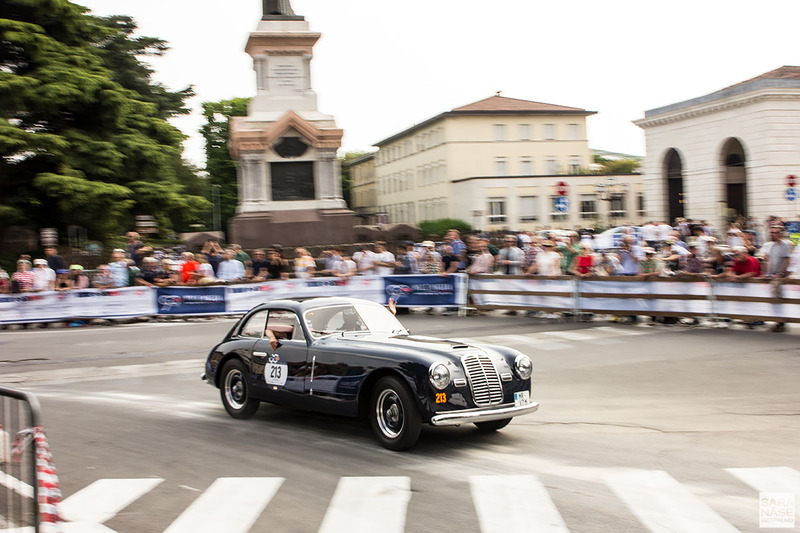 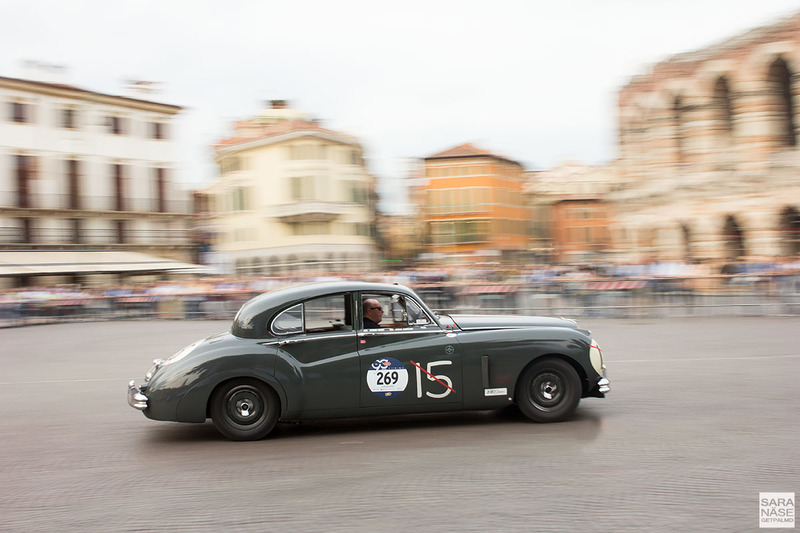 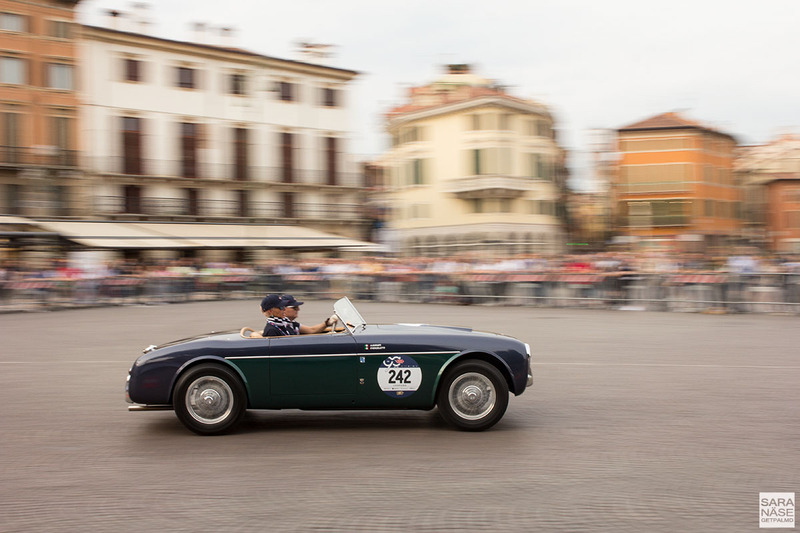 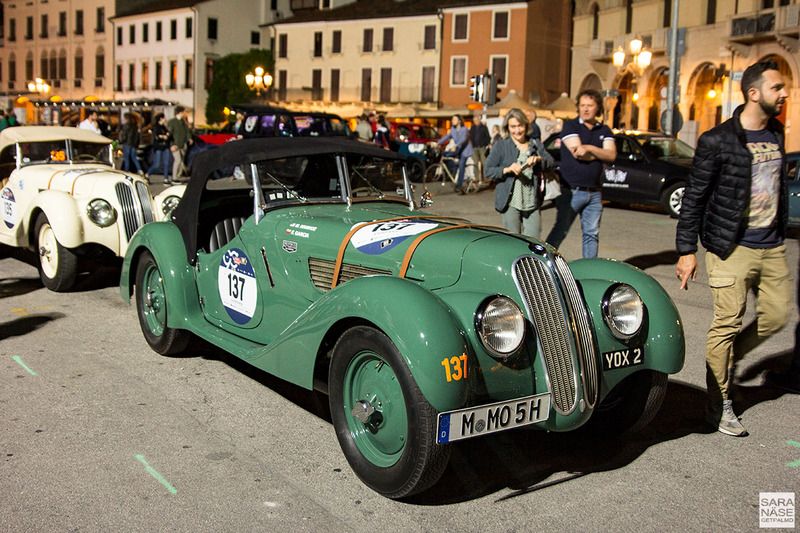 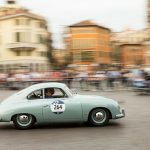 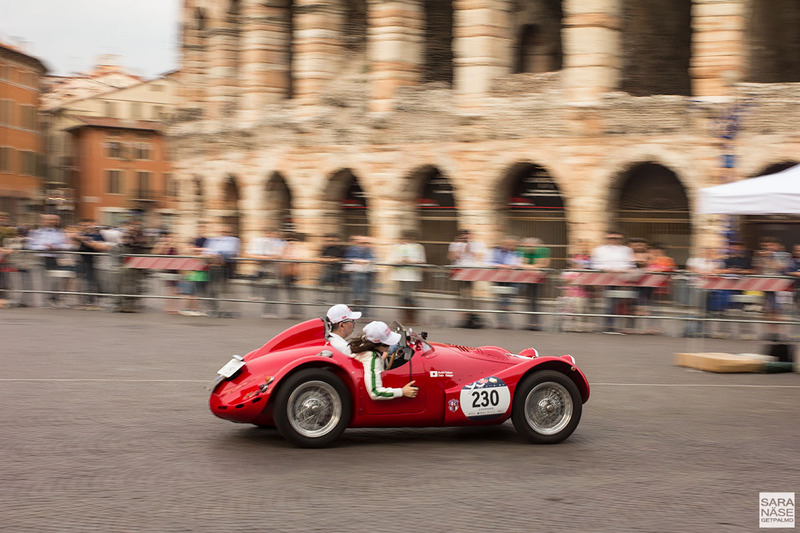 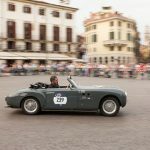 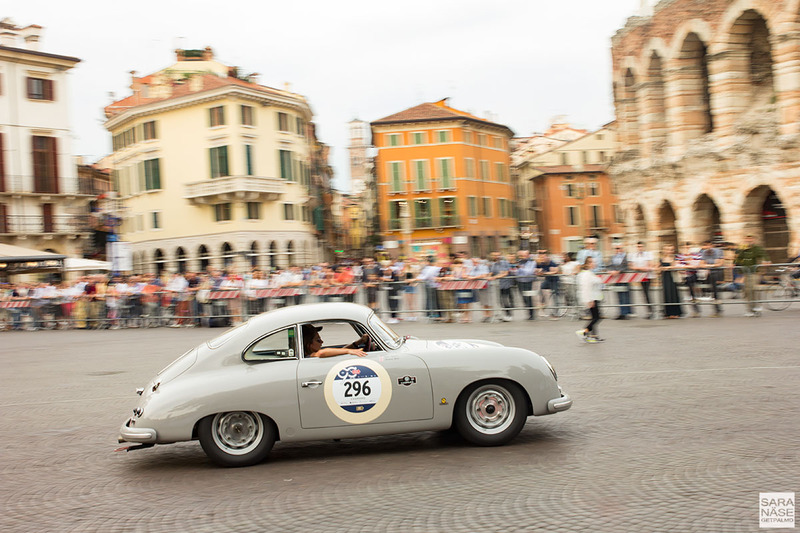 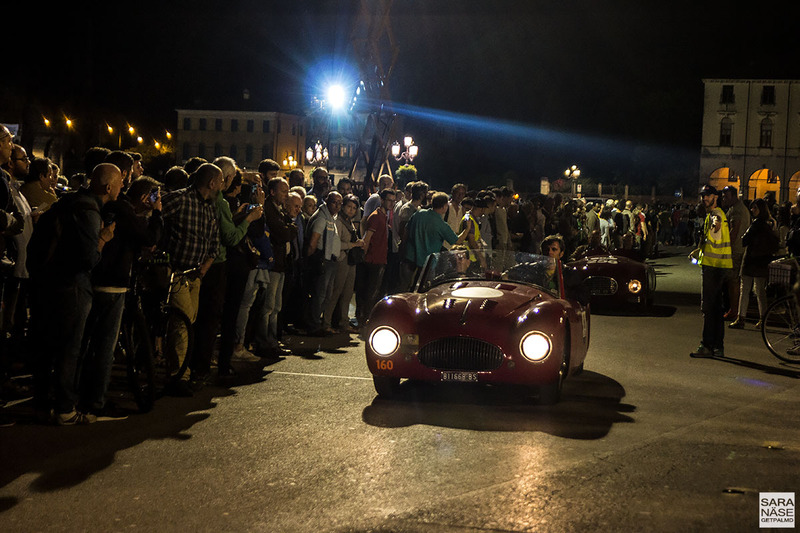 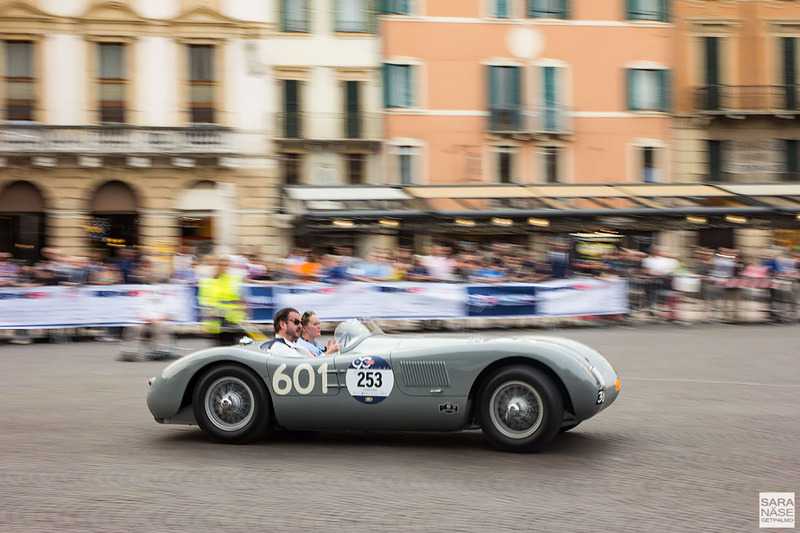 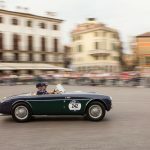 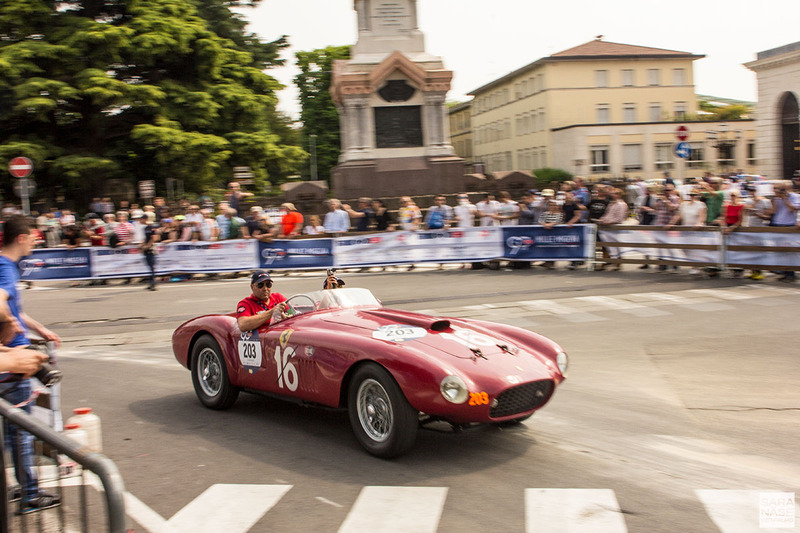 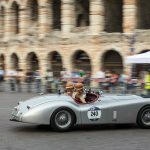 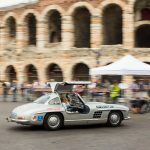 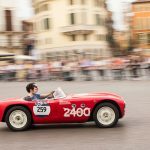 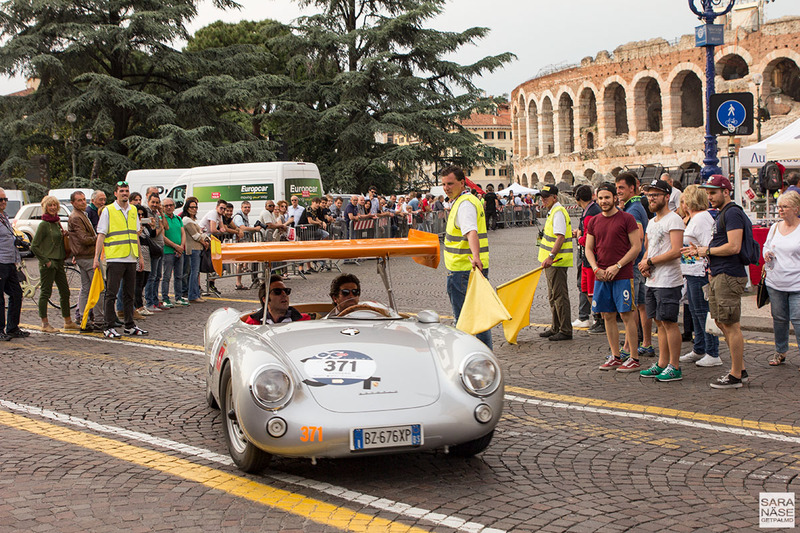 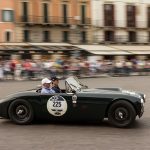 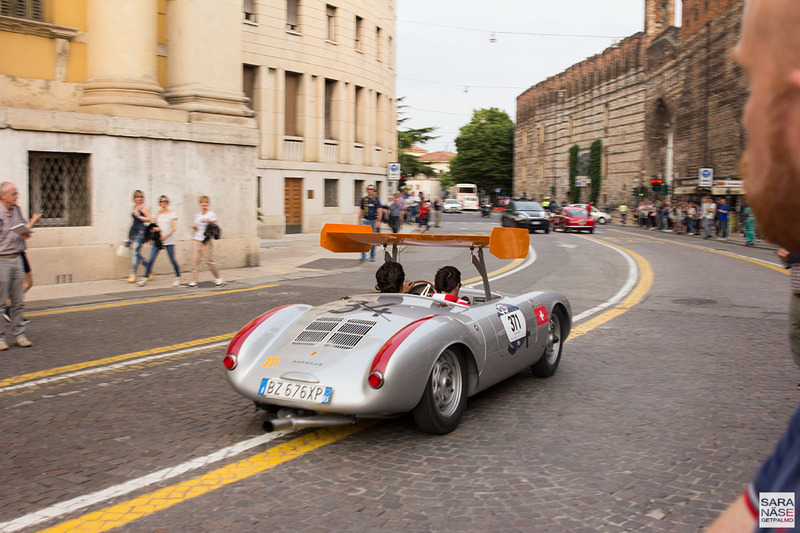 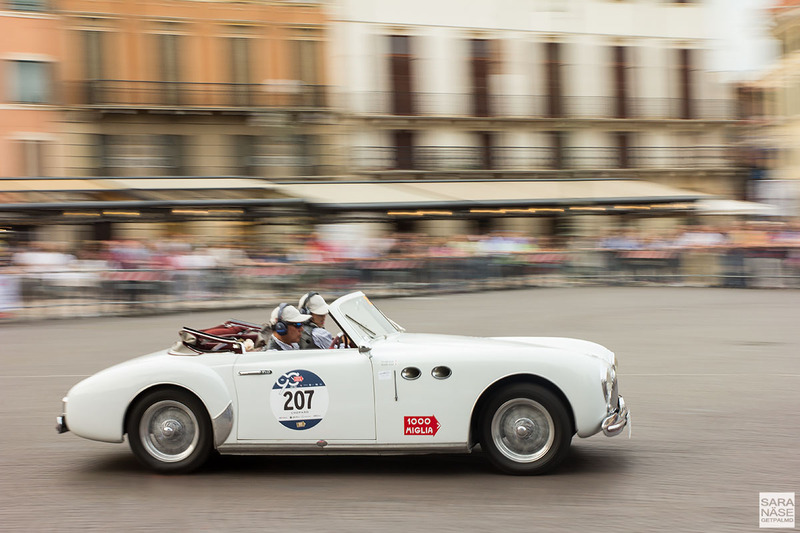 We watched Mille Miglia cars pass through the beautiful city of Verona, and in the evening arrived in Padova, where hundreds of beautiful cars covered the Prato della Valle square. 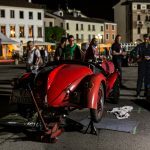 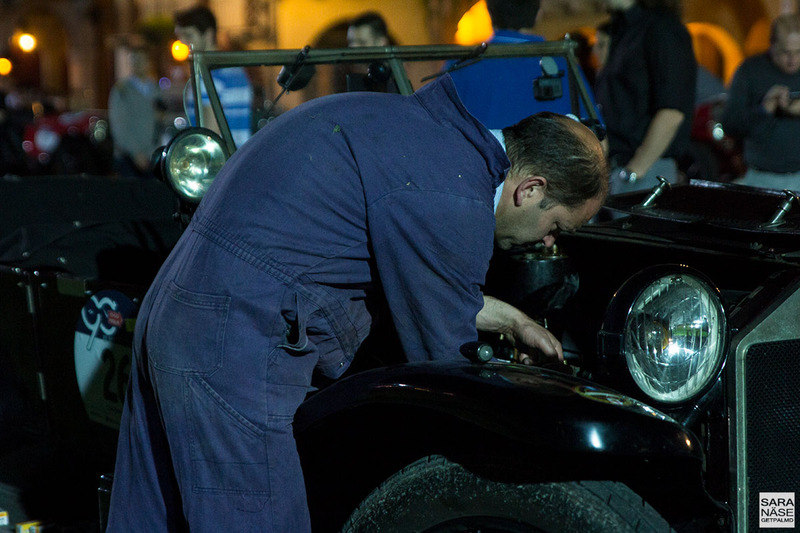 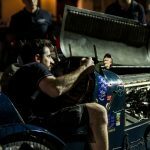 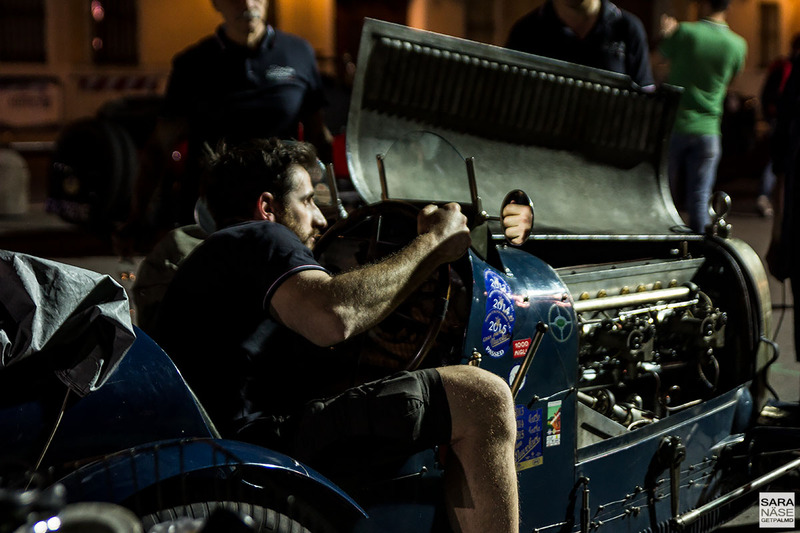 It was quite emotional to witness the passion of the drivers, owners, mechanics and friends sitting late into the night working on vintage cars, repairing whatever needed to be repaired so the car would be in best possible mechanical condition for the next day’s leg. 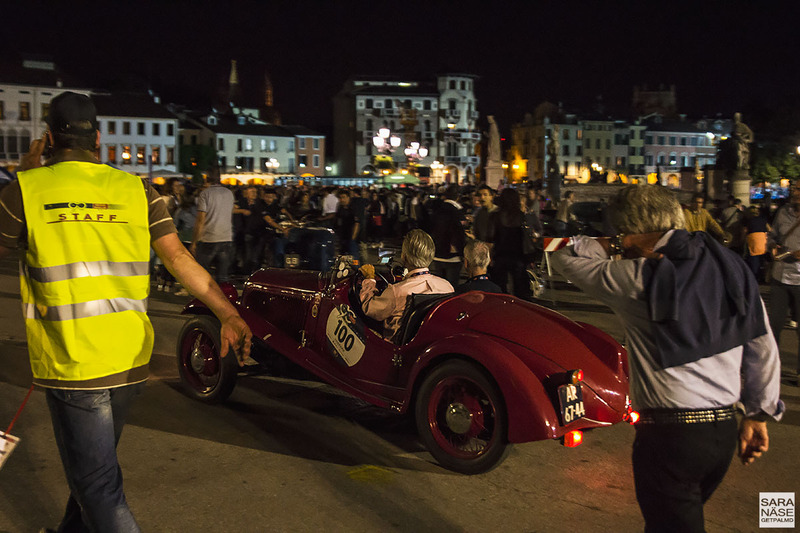 I watched tired but blissfully happy drivers and co-drivers fill tables in the restaurants around the square. 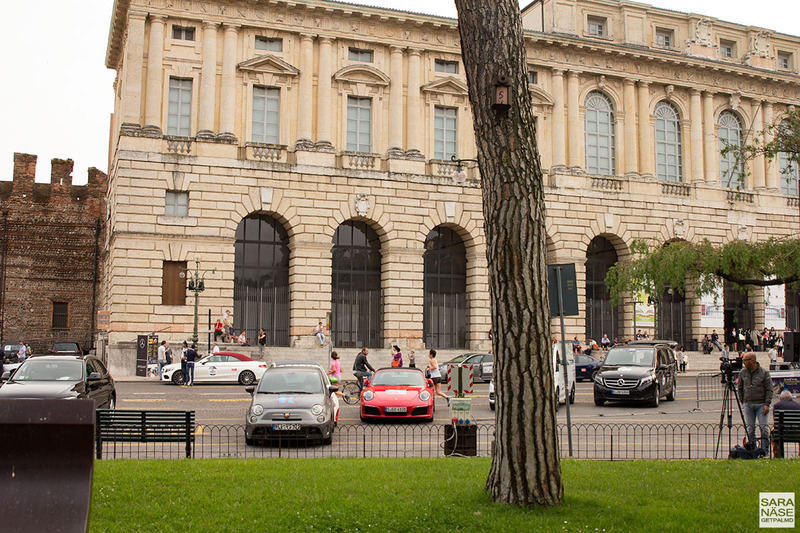 I watched Prato della Valle get more quiet after two or might even have been three am, when we strolled back to our hotel in desperate need of sleep. 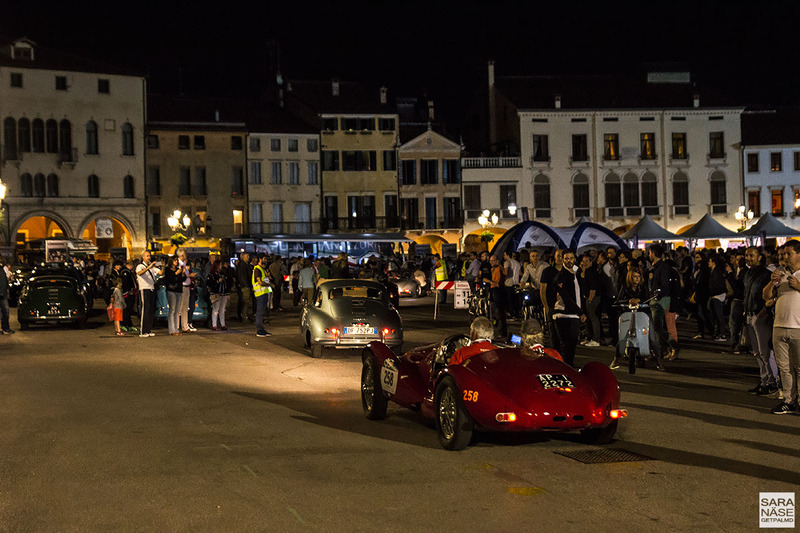 I was prepared for not getting many hours of sleep a night during Mille Miglia 2017, but if you fall asleep with a smile on your face, looking forward to the next day like a kid on the day before Christmas, the hours of sleep don’t matter. 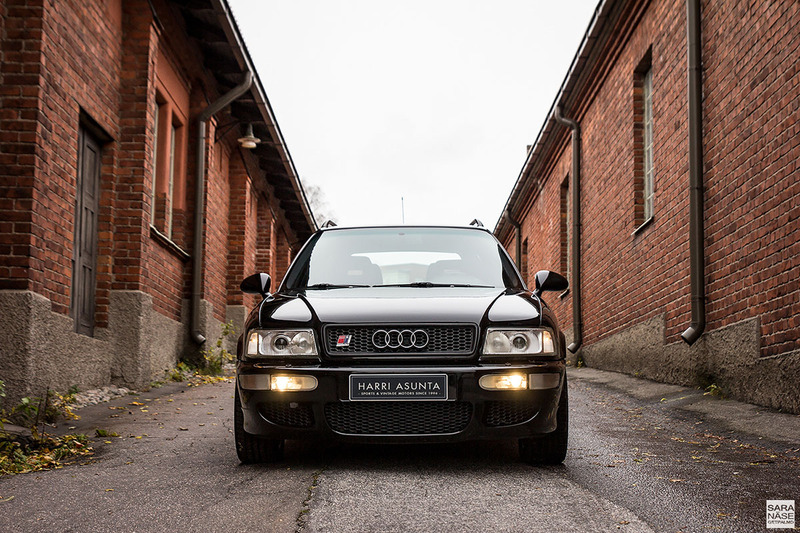 The memories do.